I've been on a bread baking kick, and I've especially been craving rye bread. 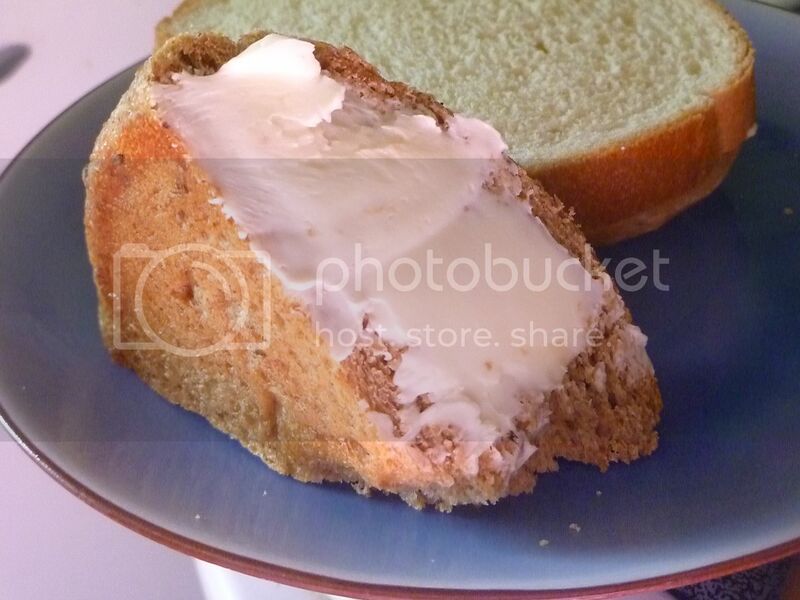 I have to make my own because I can't seem to find a good loaf anywhere in the local stores. But that's okay! It's really easy to make. This recipe makes two loaves; I've often made one loaf, and stuck the second loaf in the fridge before the second rise. 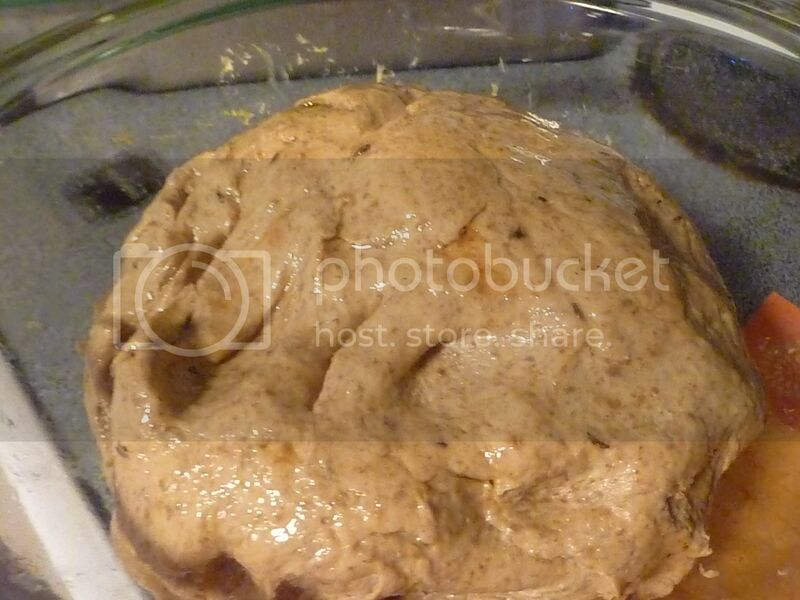 Then I let it proof at room temperature the next day for an hour or so, and bake it then. Super easy! So, you'll need yeast. Because it makes two loaves, you'll need two packages. Then pour in some warm water. Not too hot! Molasses will be the sweetener. It'll flavor the bread, and also feed the yeast. And it'll give your bread a darker color, which I like. 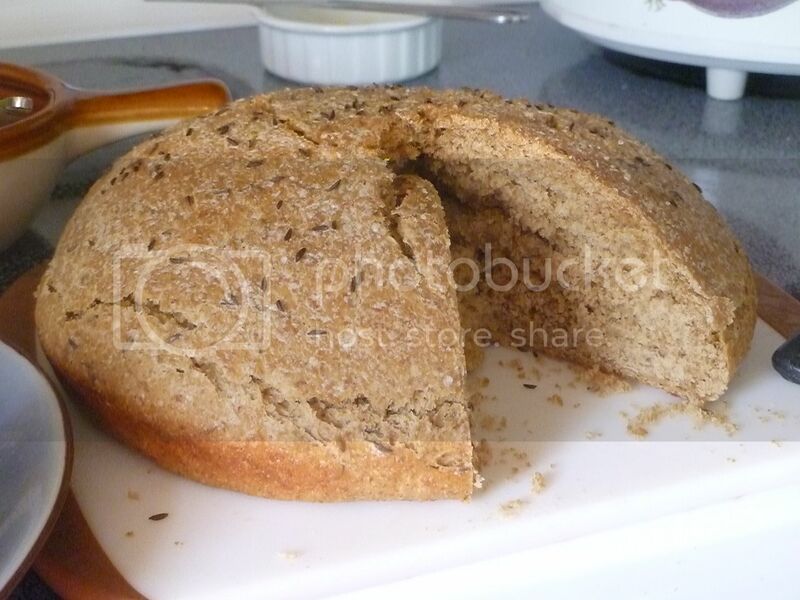 Caraway seeds give the bread that distinctive rye bread flavor. I'll admit. 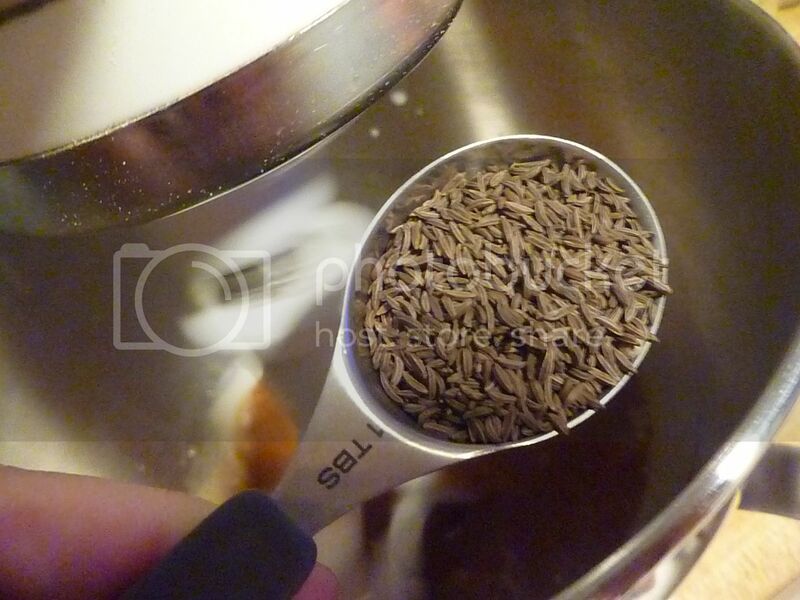 I've fallen in love with caraway seeds. A slight drizzle of oil is next. Now for the flour. You'll need both rye and white (or bread) flour. 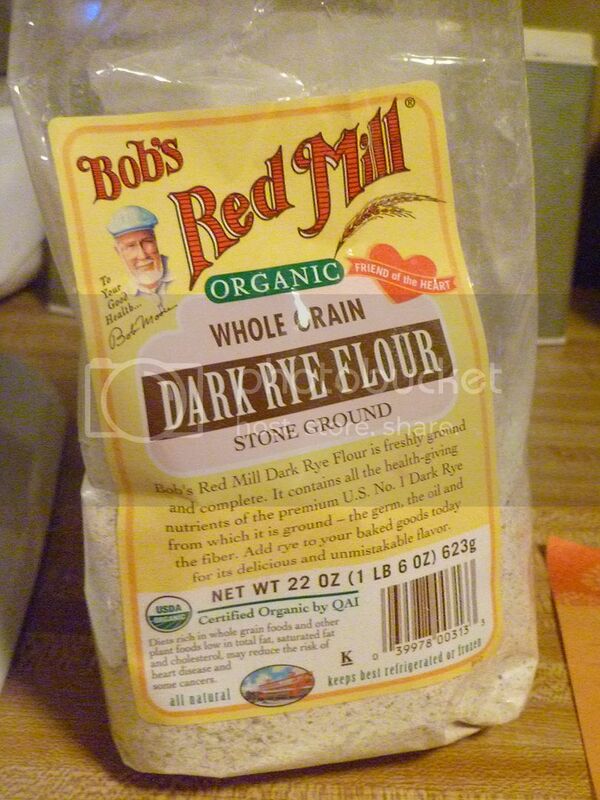 These Bob's Red Mill bags are great. They're not big, so you don't have to commit to pounds and pounds of flour you might not use a lot of. And there are 5 cups of flour in each bag, which means there's the perfect amount for two batches of rye bread. 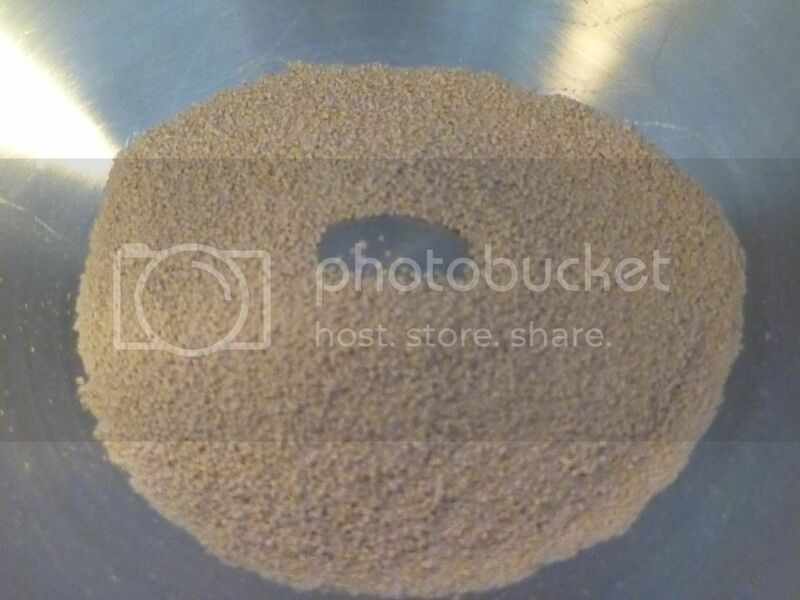 So, pour in the rye flour. 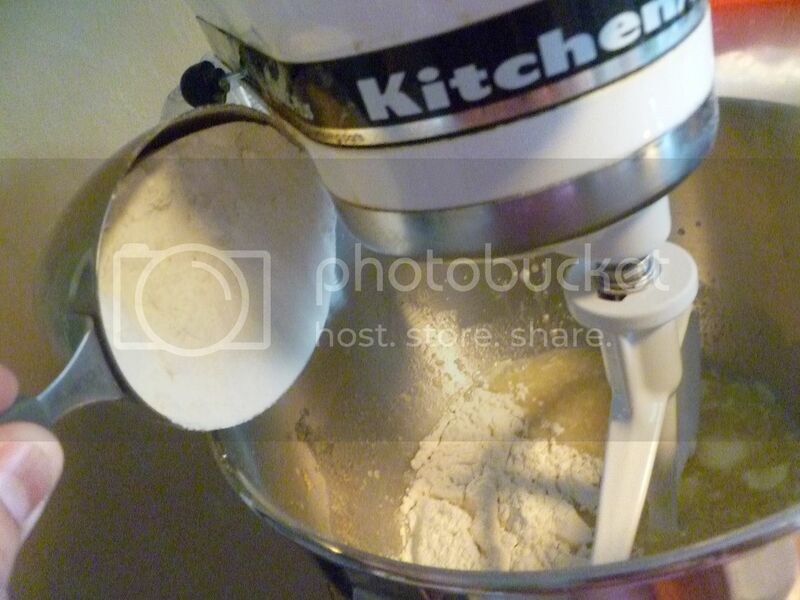 Then add regular flour. 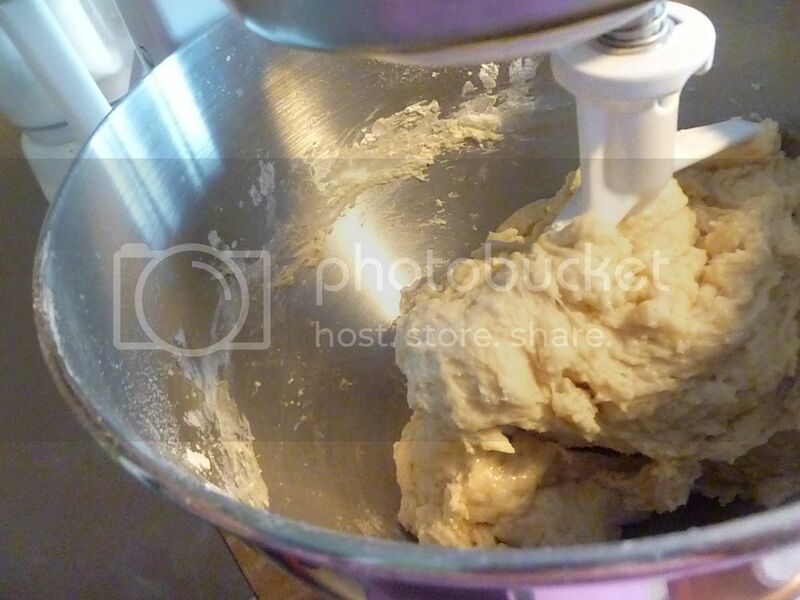 Mix until the dough begins to pull away from the sides of the bowl. You'll get a nice, soft dough. 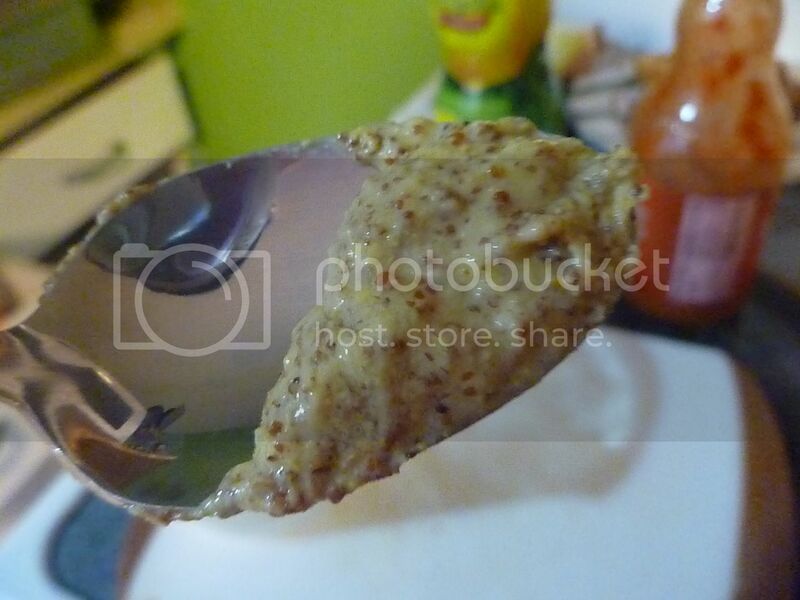 Turn it out into a lightly-oiled bowl. Cover and let it rise somewhere warm for 45 minutes-1 hour or until doubled in size. 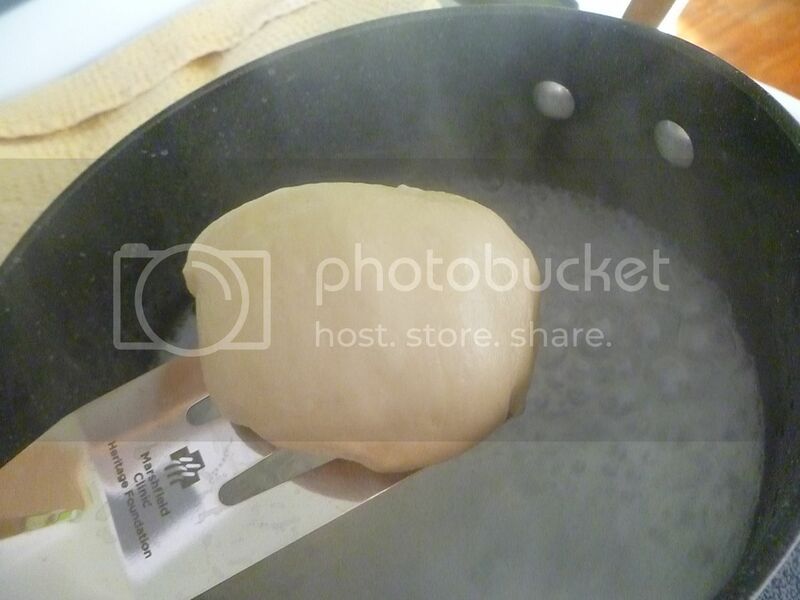 Divide the dough into two, and place each dough ball into a lightly-greased round cake pan. Smoosh the dough ball down a bit, and then cover and let it rise again for another 30 minutes. When you're ready to bake brush the top with milk, water, or egg white. 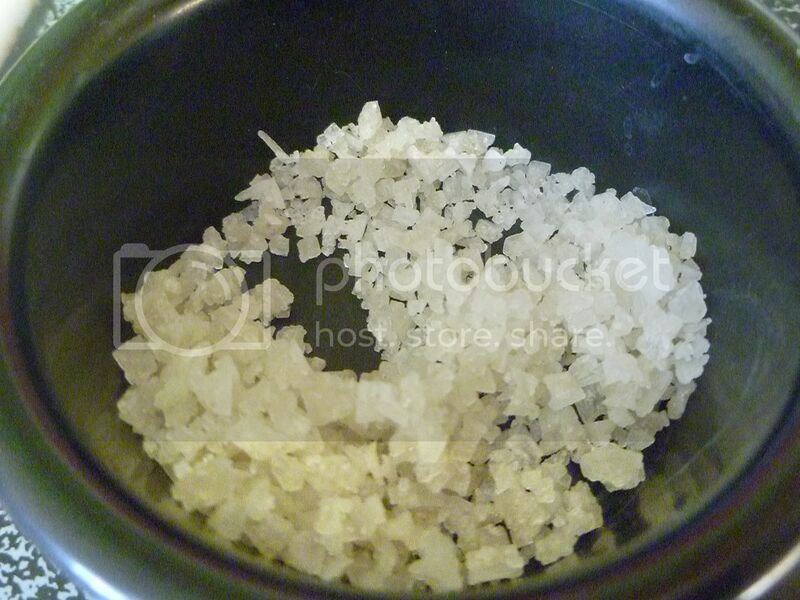 Then sprinkle the top with coarse salt and more caraway seeds. Bake in a preheated 375F oven for 30 minutes or until golden brown and delicious looking. Let it cool for another 30 minutes before cutting into it. Slather with butter, top with sauerkraut, or make into a sandwich. Whatever you choose, you know it'll be delicious! 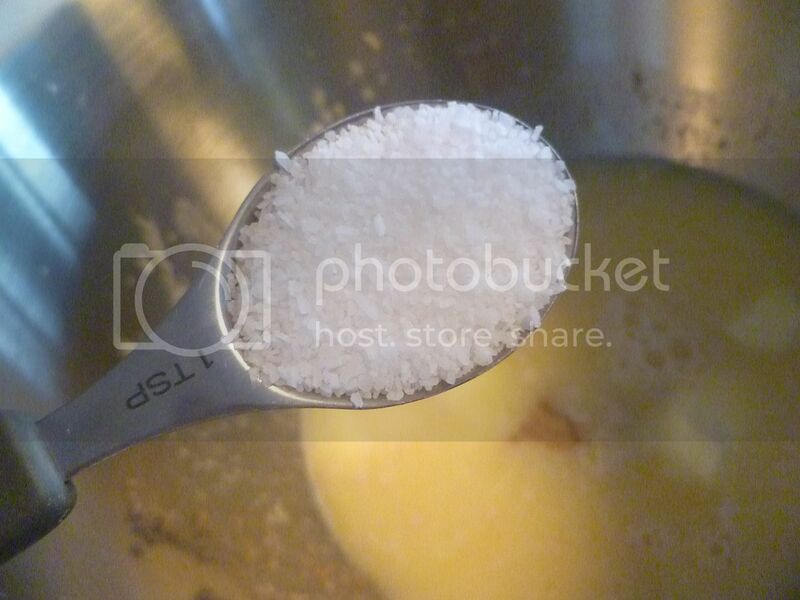 In a large mixing bowl, combine yeast and water. 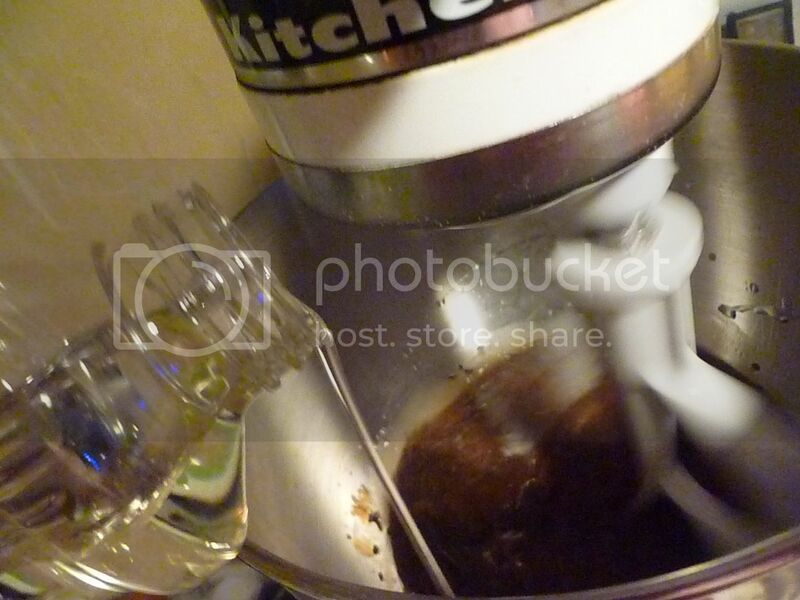 Add molasses, caraway seeds, vegetable oil, and flours. 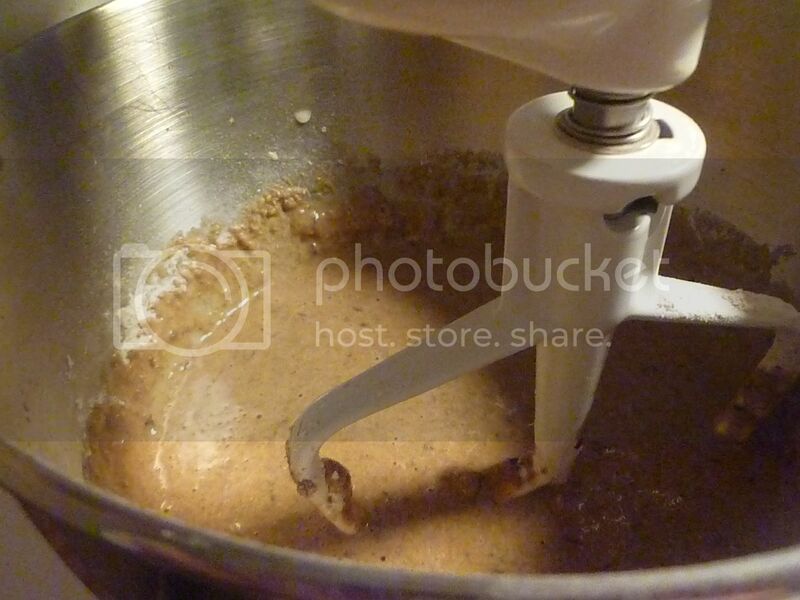 Mix well until dough comes together and begins to pull away from the sides of the bowl. 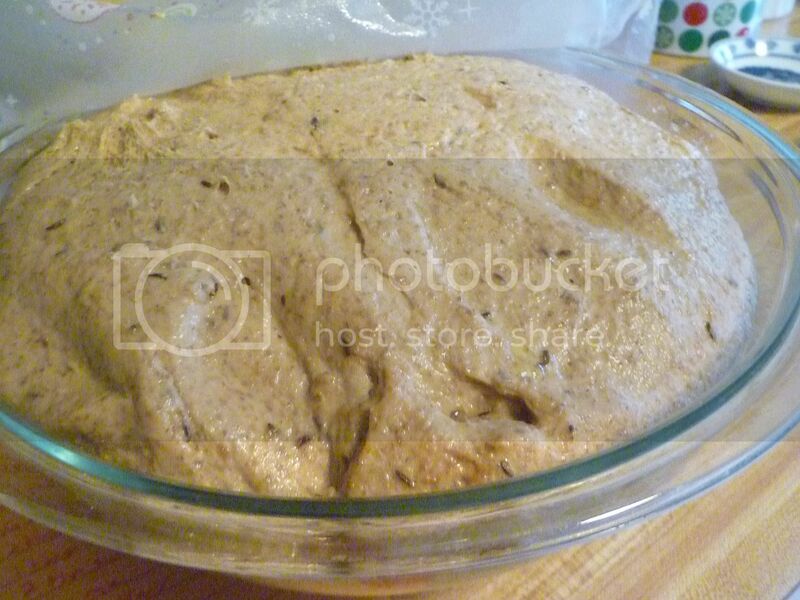 Turn dough out into lightly-greased bowl. 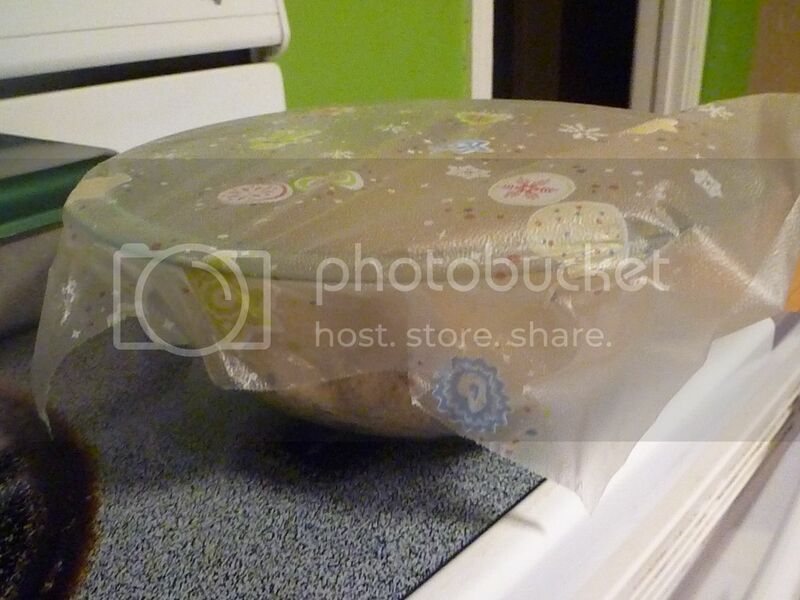 Cover with towel or plastic wrap and let rest for 45 minutes-1 hour, or until doubled in size. 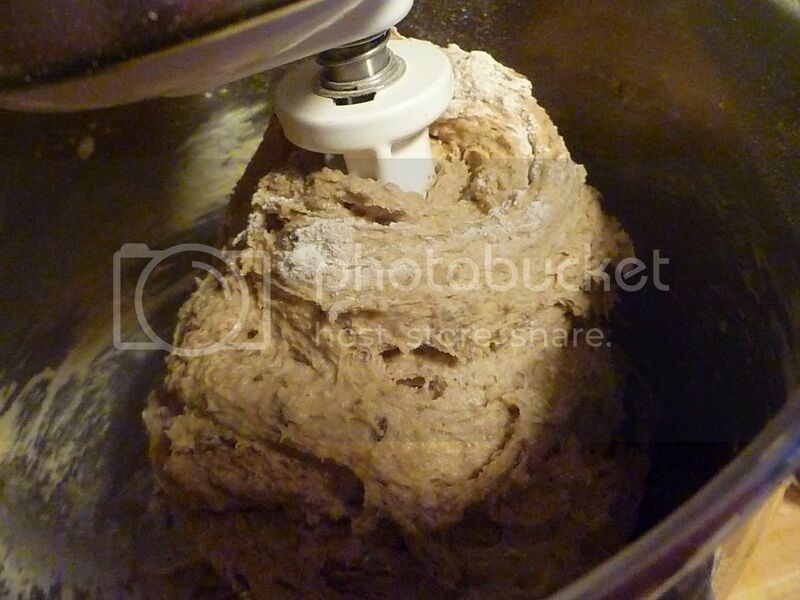 Divide dough into two portions. Place each portion in a lightly-greased round cake pan. 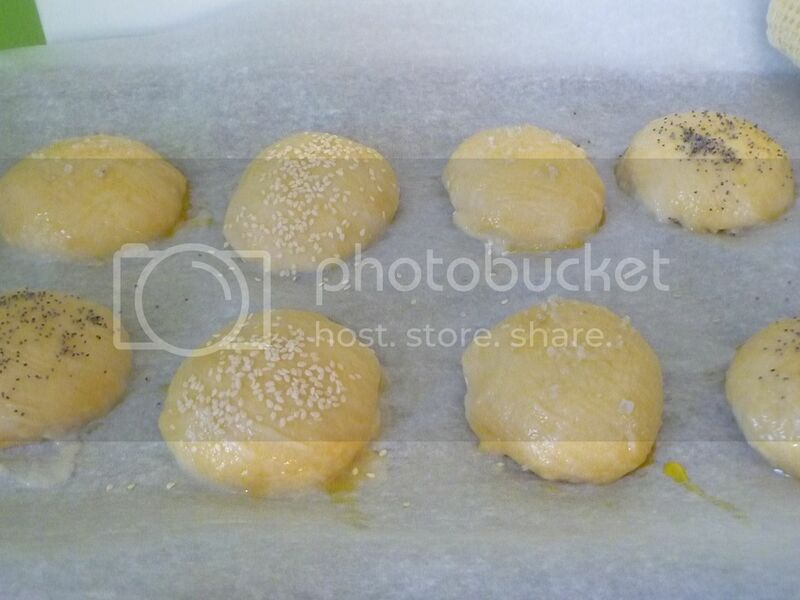 Pat dough balls down slightly; cover and let rise another 30 minutes. 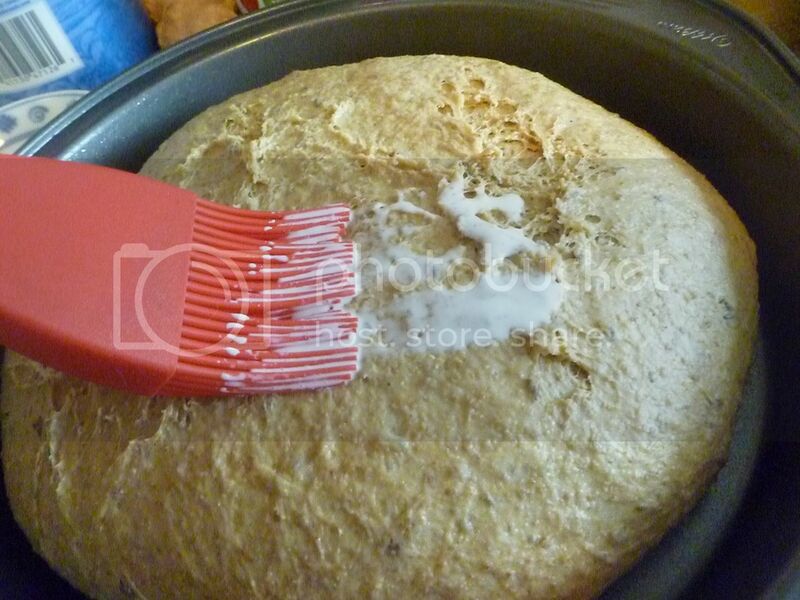 Brush tops of dough with milk, water, or egg white. Sprinkle with caraway seeds and salt. Bake in a preheated 375F oven for 30 minutes. Let rest before serving. One of my favorite breakfast items is eggs benedict. If we go out to breakfast and the place has ol' eggs benny, you can be sure that I'll order them. But we don't go out to breakfast much, so I decided I'd make my own Hollandaise and Lazy Man's Eggs Benedict. Turns out it's pretty easy. Here's all you need. 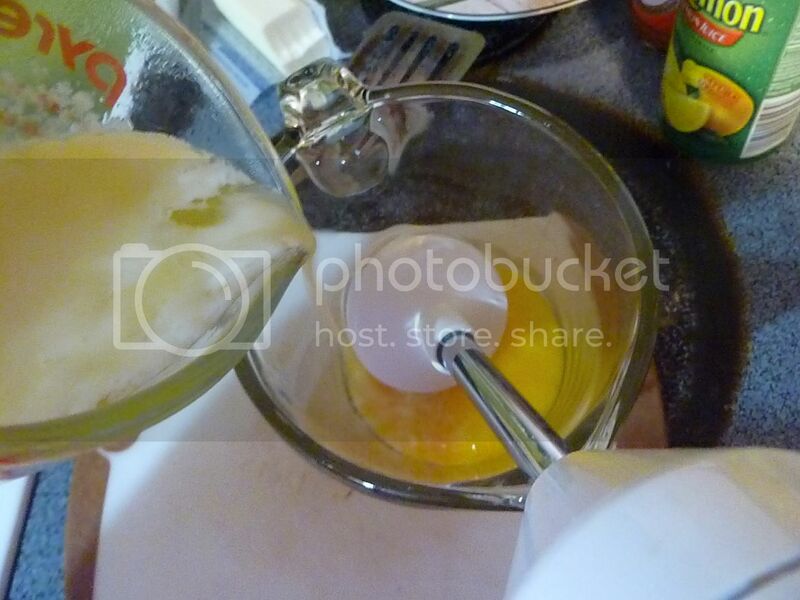 First, separate the eggs from the yolks. I saved the egg whites for some scrambled eggs for The Kid. She sure loves eggs. Then I heated a stick of butter up in the microwave, until it was melted and bubbly. I sloooowly poured the hot, melted butter into the egg yolks. 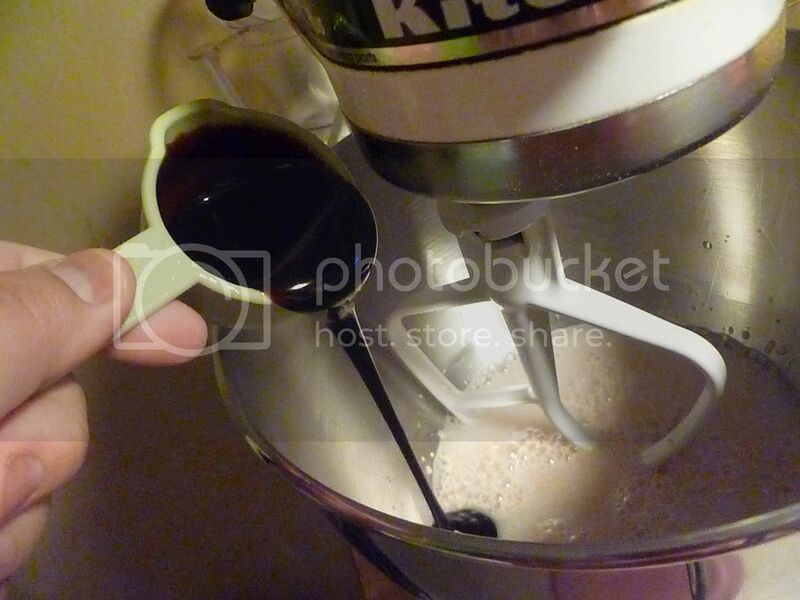 I used my immersion blender for mixing. You could also do this with a food processor or a regular blender. 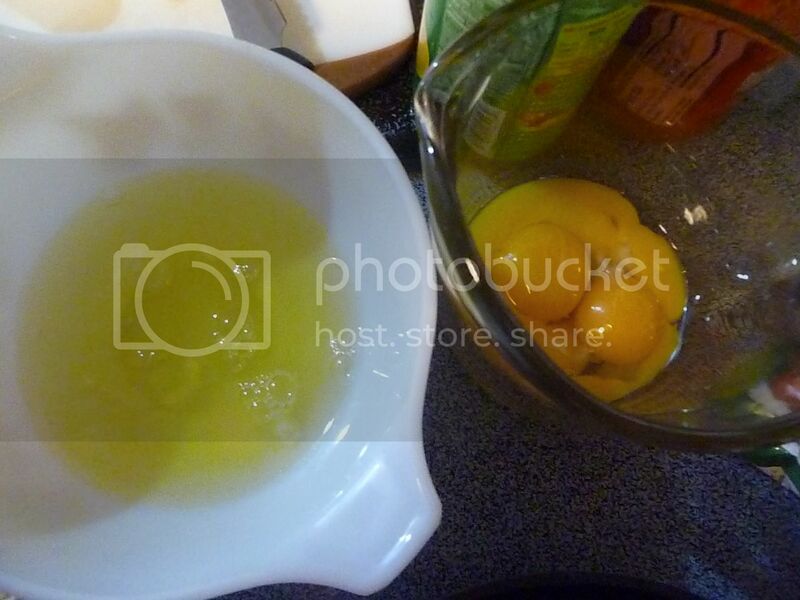 Blend until all the butter is added and the egg yolks have paled in color and have thickened. Add a squeeze of lemon juice. 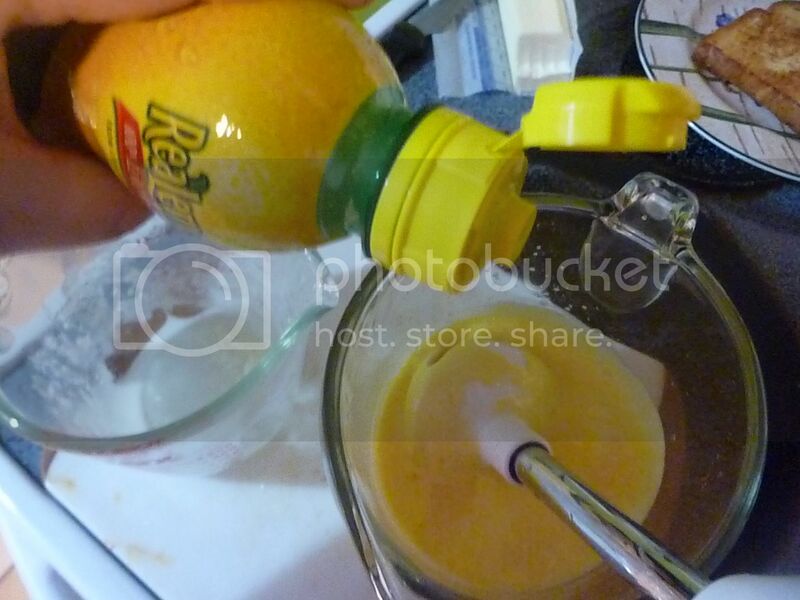 The lemon juice will add a bit of zesty flavor, as well as help "cook" the eggs. A shake of hot sauce will do the same things. 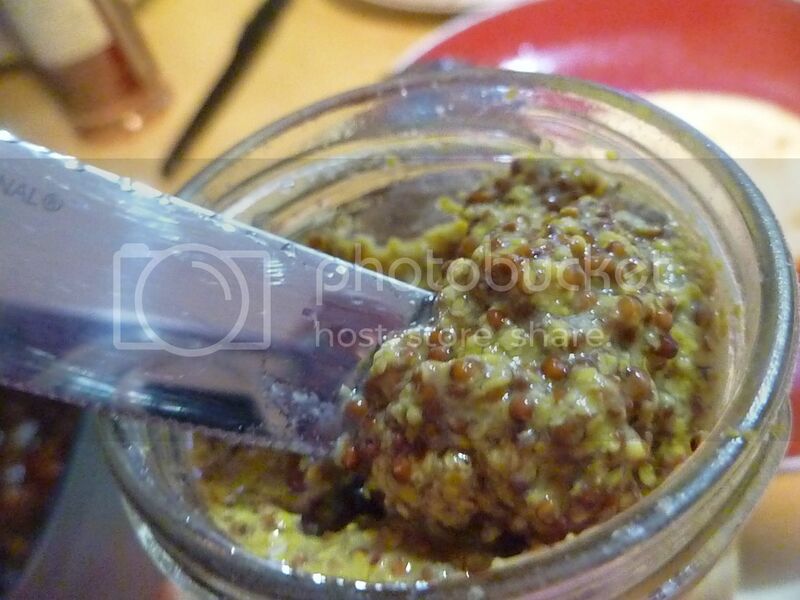 Finally, a small spoonful of mustard will help stabilize your sauce and keep it from separating. It will also add some additional flavor. And don't forget to add a bit of salt and pepper. I stuck the container it was in in a warm water bath, to keep the sauce from separating while I finished the rest of the meal. 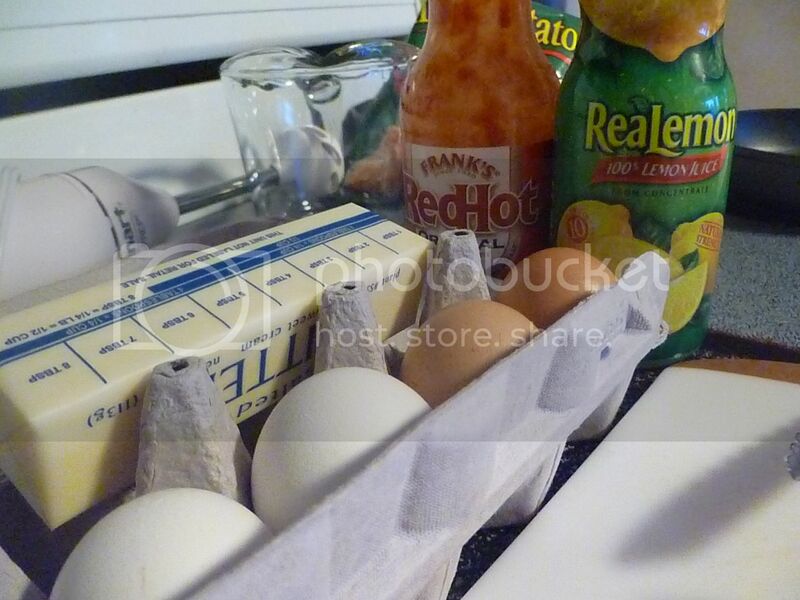 Now to assemble the Lazy Man's Eggs Benedict. 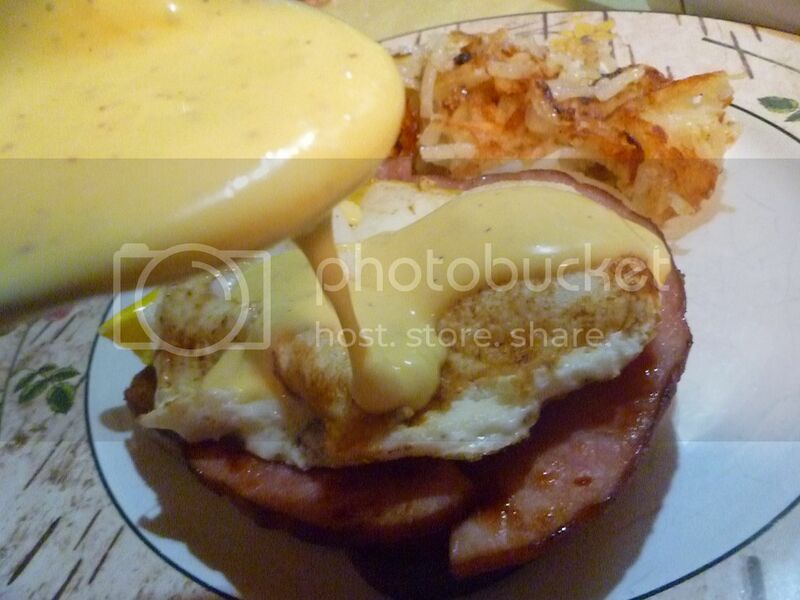 Usually eggs benny is made with a toasted English muffin, a slice of Canadian bacon, and a poached egg. Unfortunately, Mr. Kim Chee ate the last English muffin. So I used a piece of toast. 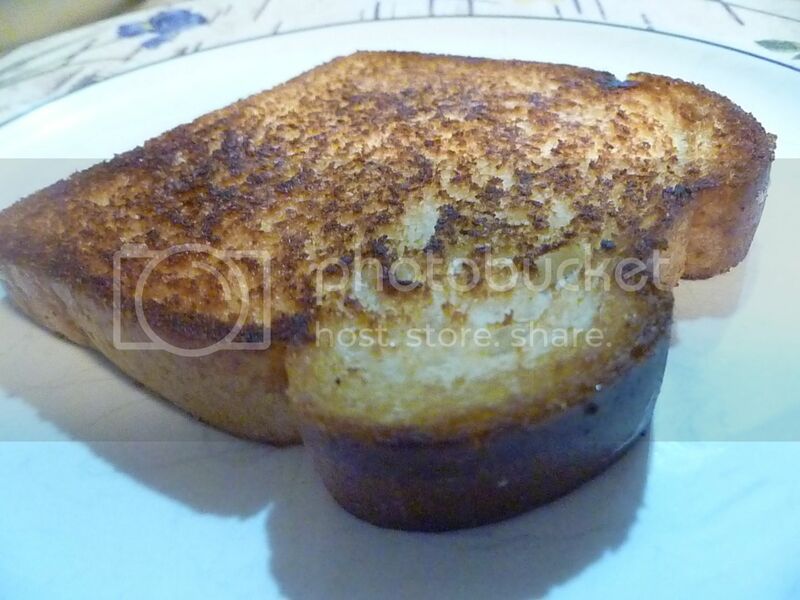 I toasted it in a pan with some butter--like how you'd make a grilled cheese sandwich, but without the cheese. Then I wiped out the pan and grilled a couple pieces of ham. I usually have ham in the house. 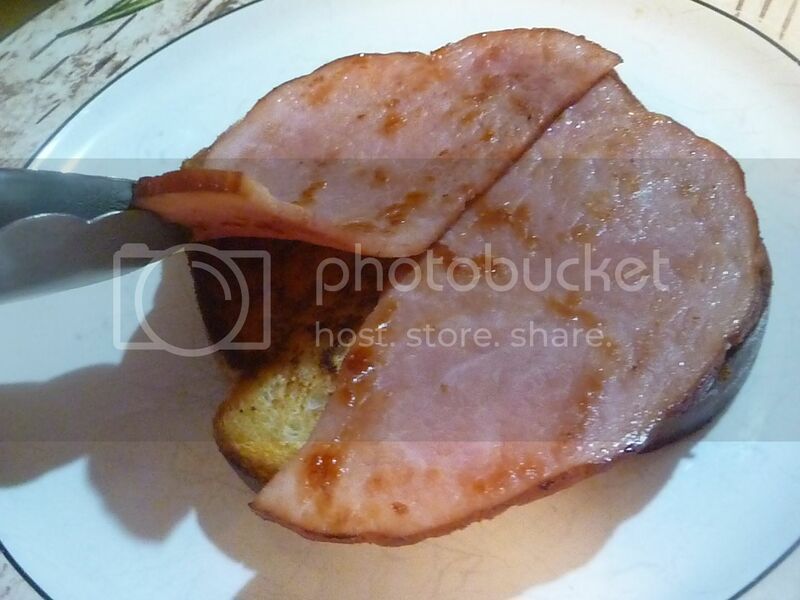 Canadian bacon, not so much. Then I topped it with a fried egg, over easy. It's a bit darker than I'd like, but I was hungry and got impatient. 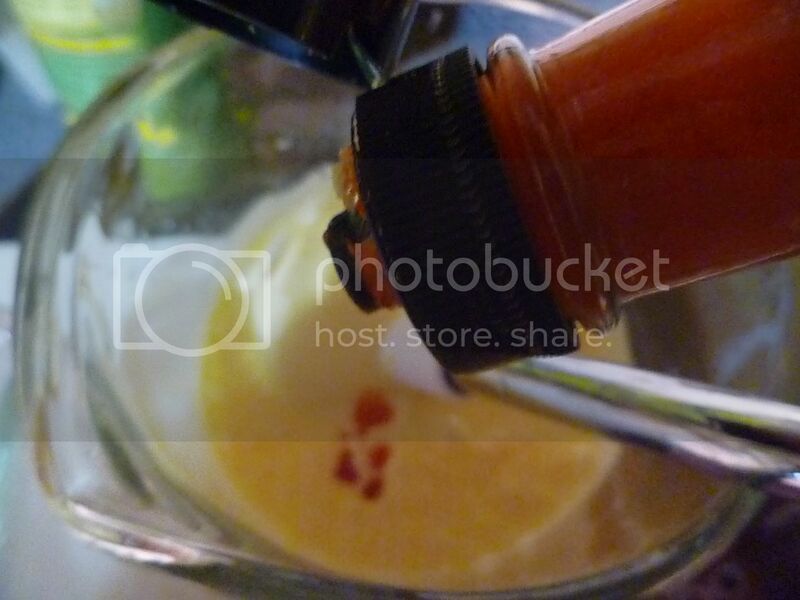 Now you can pour the hollandaise over the top. So, so delicious!! 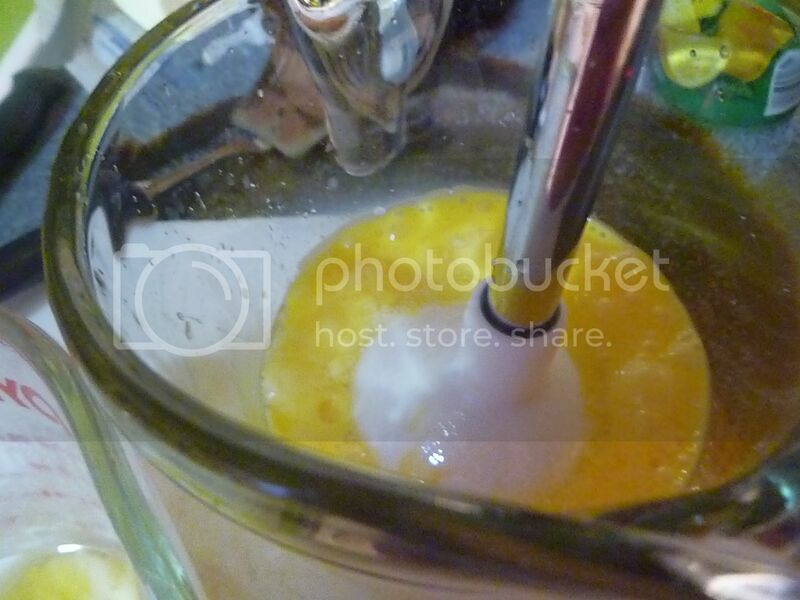 Pour the yolks into a bowl (or a food processor or blender, if using those kitchen tools). 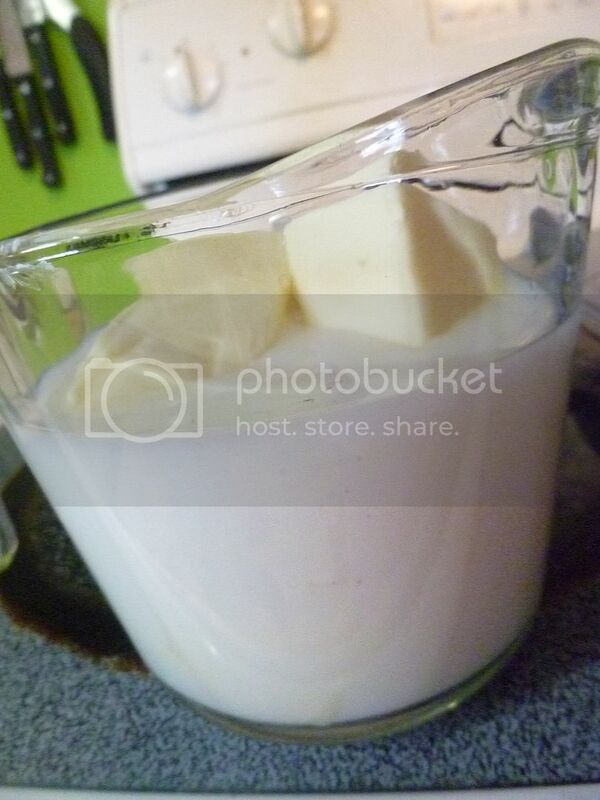 Slowly add butter, using the blender/processor the entire time to incorporate butter. 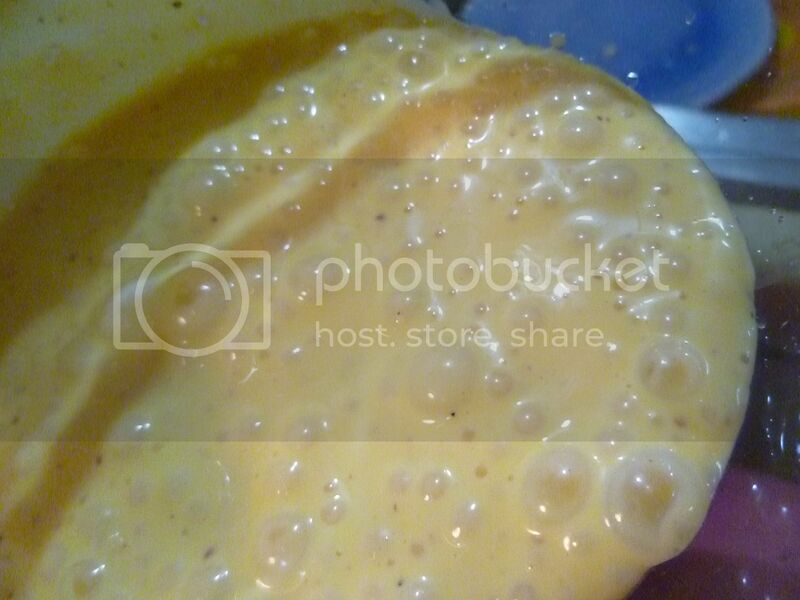 Blend until yolks are light in color and have thickened in texture. Add lemon juice, hot sauce, and mustard. Blend well. Add salt and pepper to taste. 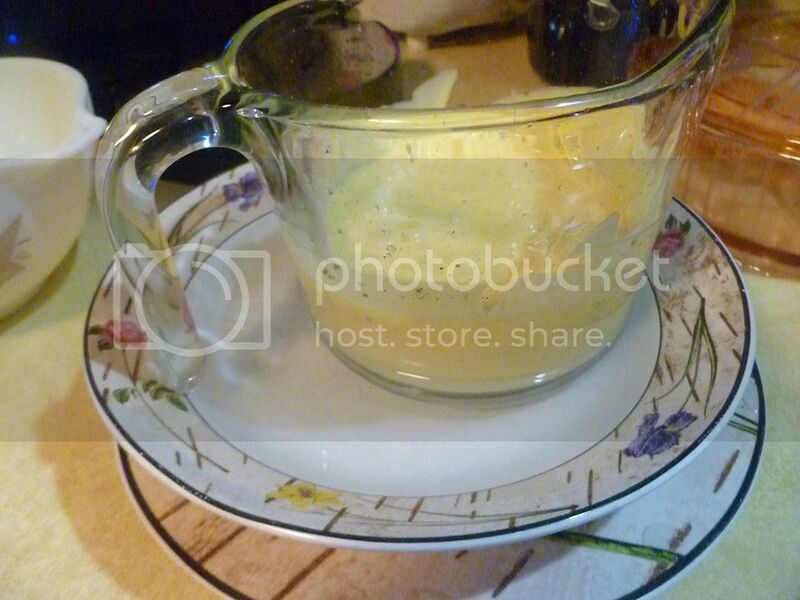 Place container of hollandaise in a warm water bath, if not serving immediately. 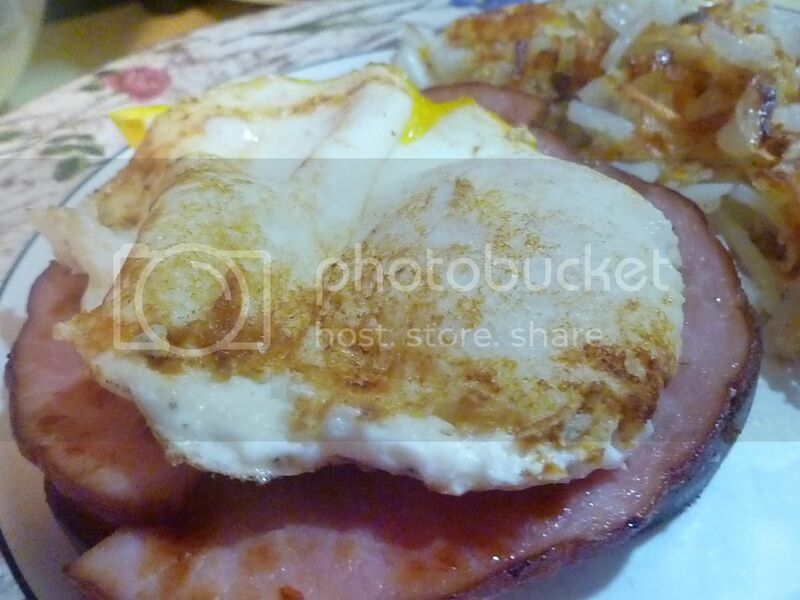 Top toast with ham and egg. Pour hollandaise sauce over the top. Serve! Well, with the Packers-Giants playoff game coming up, I thought I needed something festive to munch on. I was also craving pretzel buns. They can be hard to find here, so I decided I'd make my own. The first thing you need is yeast. Milk and butter are next. But you can't just toss cold milk and butter in. I like to microwave them together for about 30 seconds, then stir, then microwave more if the butter is still cold. In the end, the butter should be melted, or just about, and the milk should be just a little warmer than your body. When you've achieved perfect milk-and-butter nirvana, pour them in with the yeast. Brown sugar's the sweetener today. Then you can add the flour. 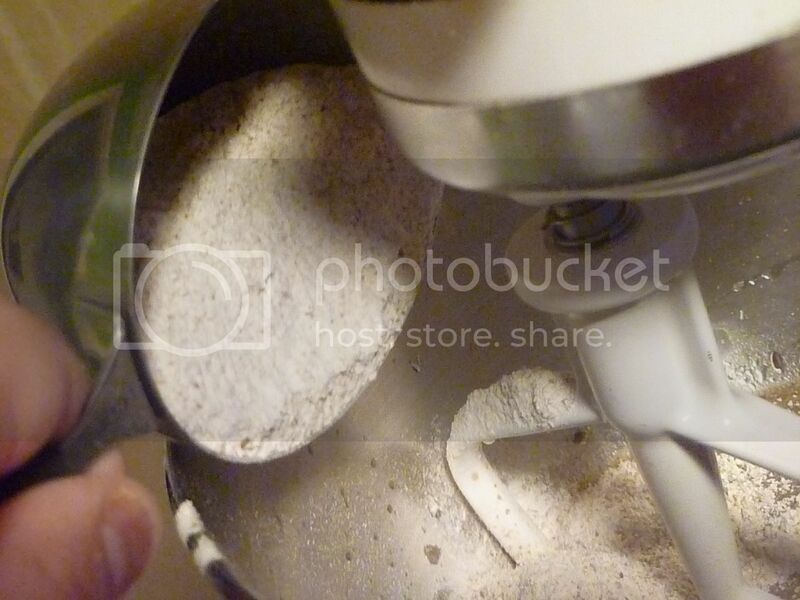 I like to split the flour into halves or thirds, to avoid a floury mess all over the kitchen. Eventually you'll get a really nice, soft dough. 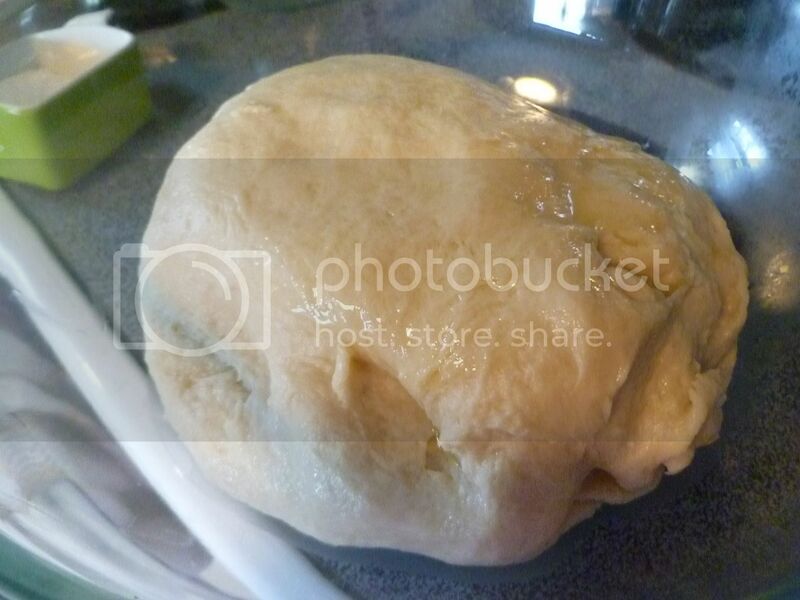 Turn the dough into a lightly-greased bowl, and set it aside to rise for about half an hour. 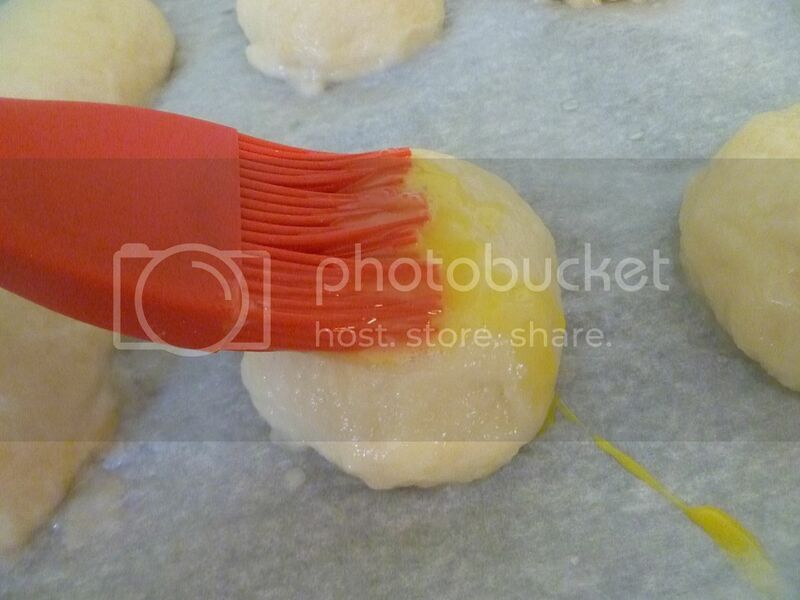 After the half hour is up, you can start making little dough balls. You could roll the dough ball out and make pretzels. 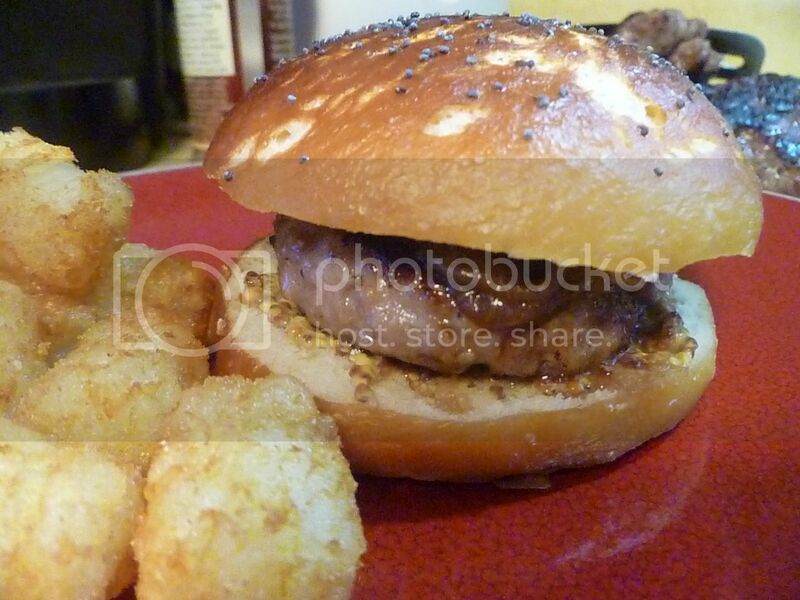 Or you could make them into small balls, for sliders. Whatever you choose, set them on parchment-lined baking sheets and cover them lightly. Let the dough rise for another 30 minutes. 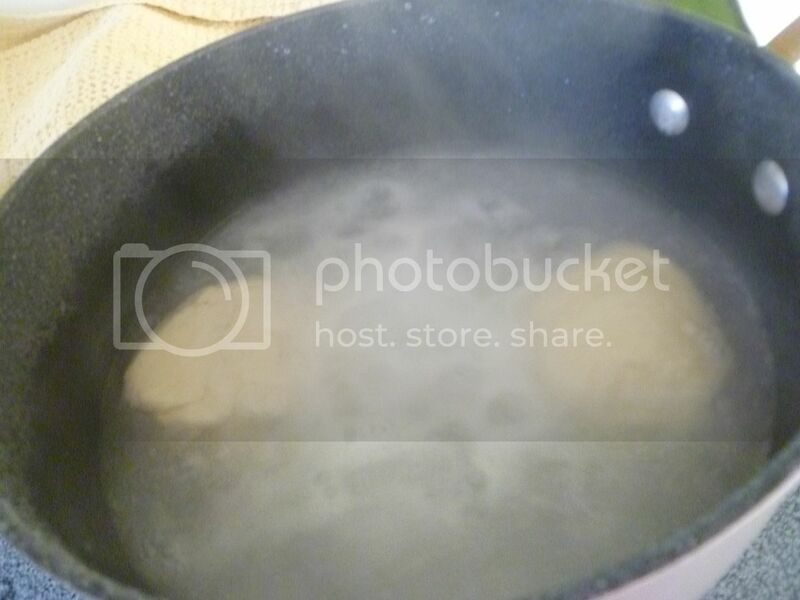 While the dough is rising, you can start a pot of water. You'll want it lightly boiling. 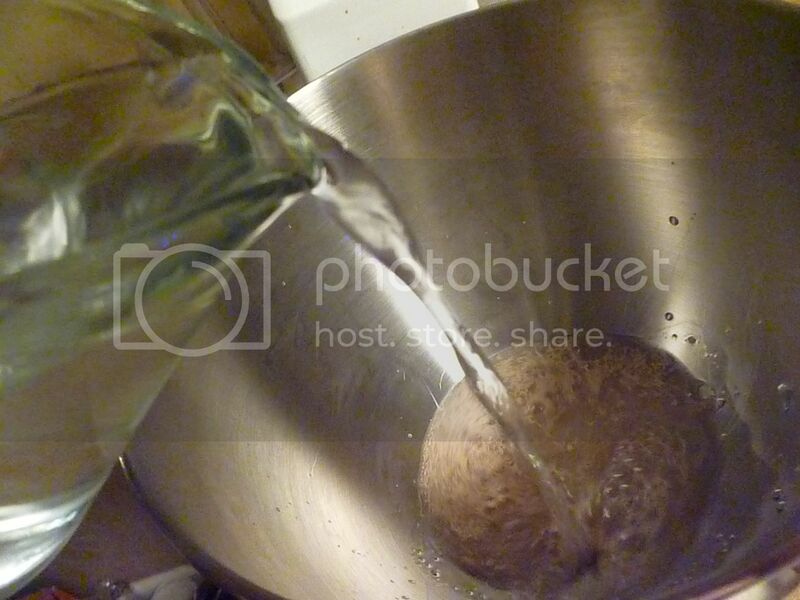 Once the water is to a boil, pour in half a cup of baking soda. 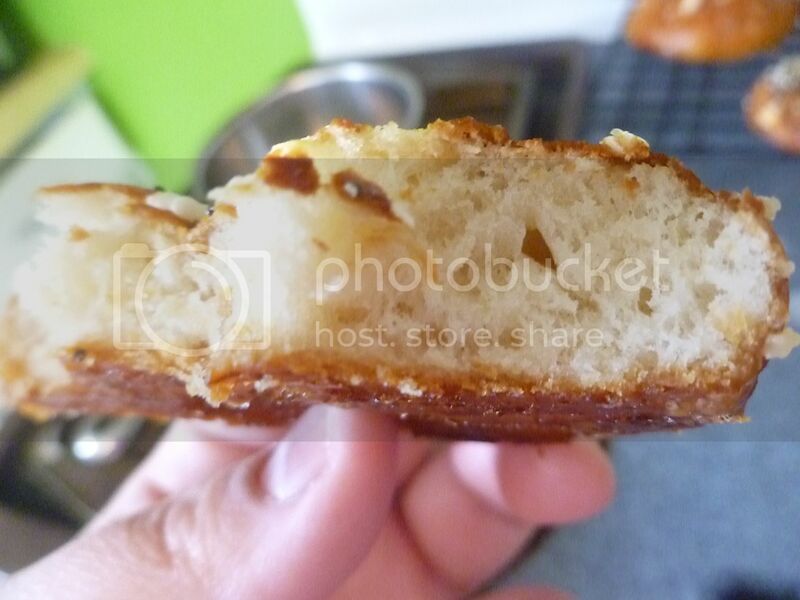 The baking soda is what gives your pretzels that nice brown color. 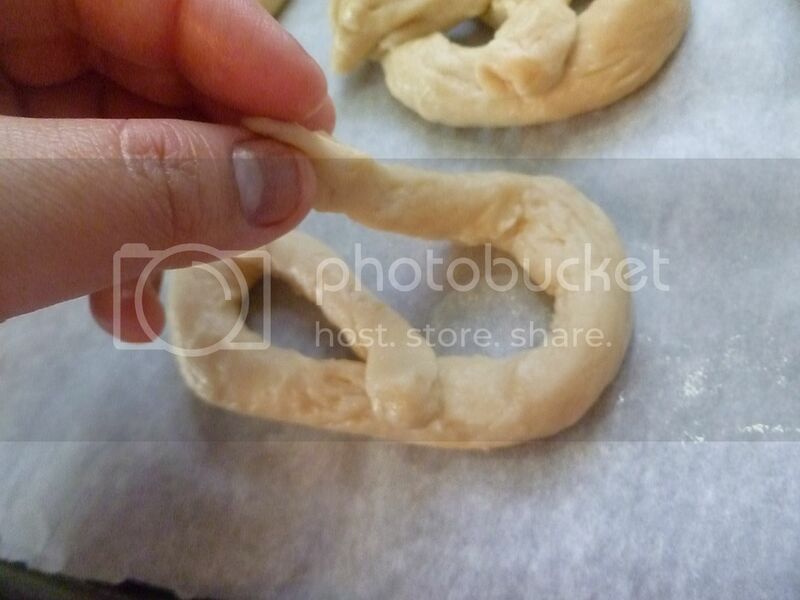 Carefully lift your pretzel dough and place it in the water. Let the dough boil on one side for 30 seconds. Then flip, and go for another 30. Remove the dough from the water, trying to drain off some of the water. Then place back onto the parchment-covered sheets. 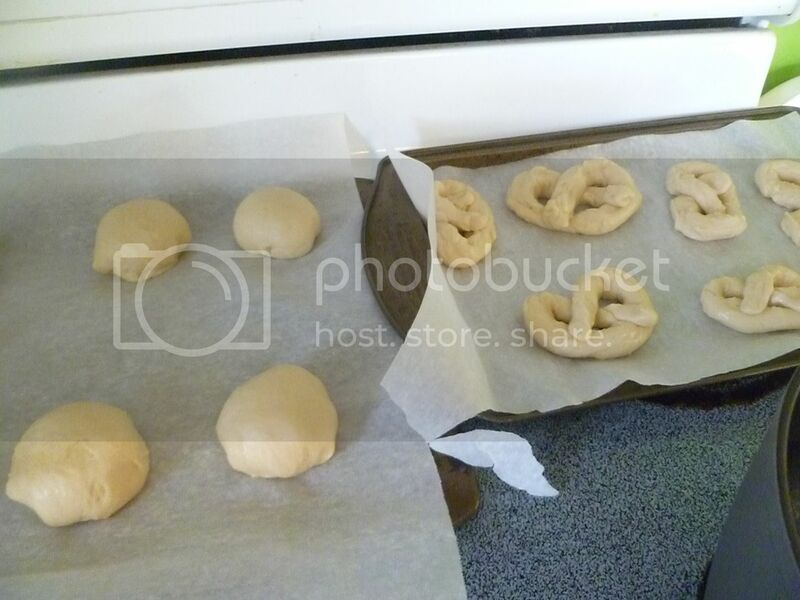 Once all the dough has been through the water, brush each pretzel with beaten egg. Then top with your favorite topping. 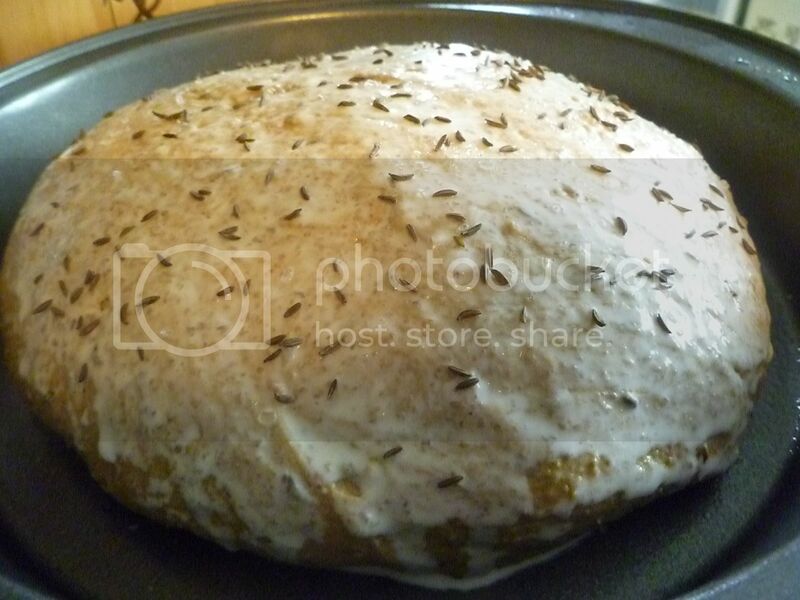 I used poppy seeds for some. 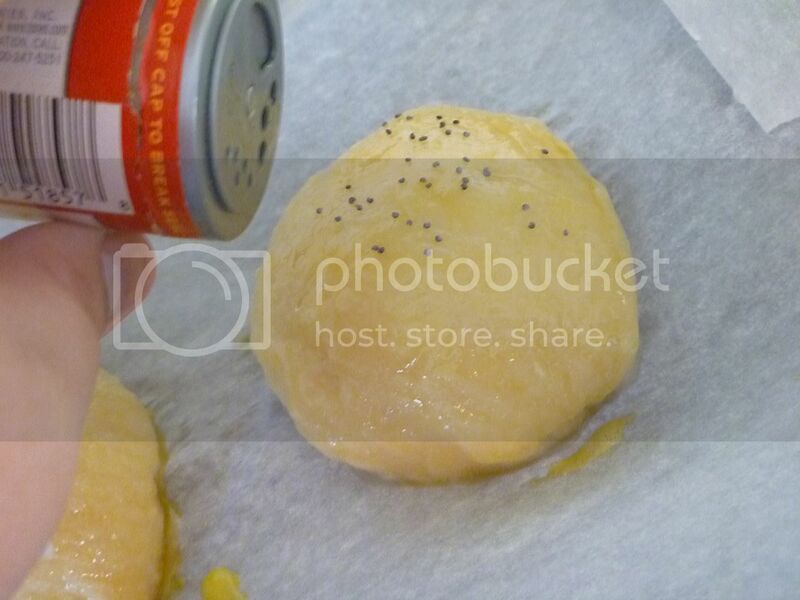 Some got a mixture of salt, garlic and onion powder, sesame seeds, and poppy seeds, for an "everything" kind of flavor. Some just got plain salt. It seems nearly impossible to find pretzel salt. So I used some coarse gray sea salt. Plain kosher'd be fine, too. 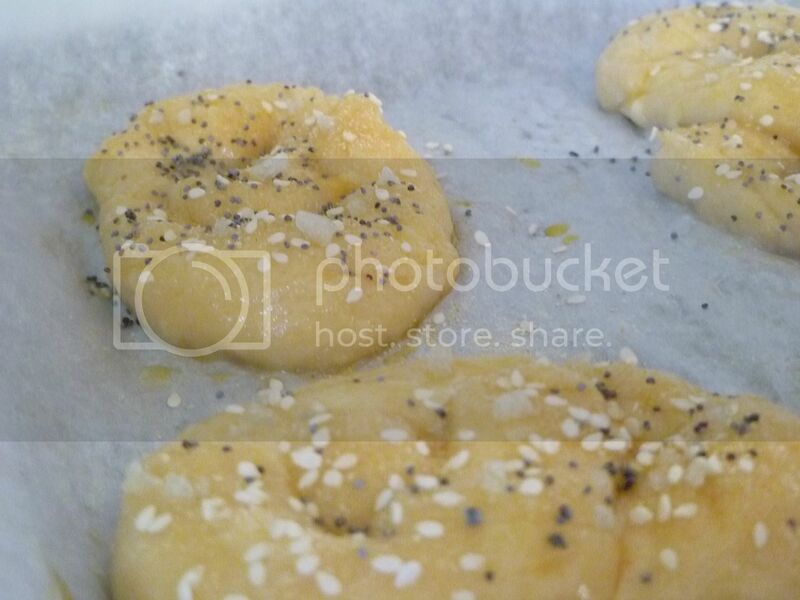 Pop the pretzels in the oven and let them bake for 20-25 minutes until they're a lovely pretzel brown. I forgot to slash the tops of the buns to help steam escape, so they split a little at the top. No biggie. They'd be great if we were stopping here. But we're not! 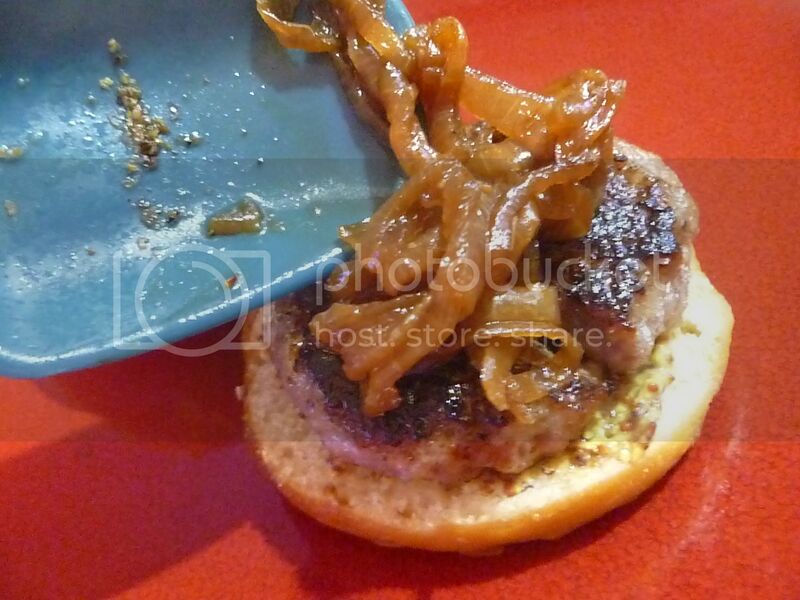 My brat sliders are topped with beer braised onions. 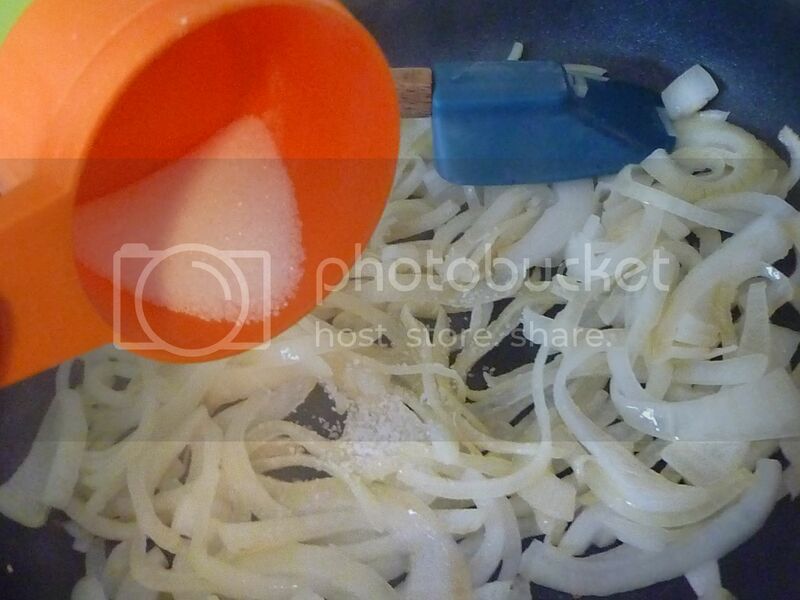 So, you'll need some thinly sliced onions. And a bit of butter. 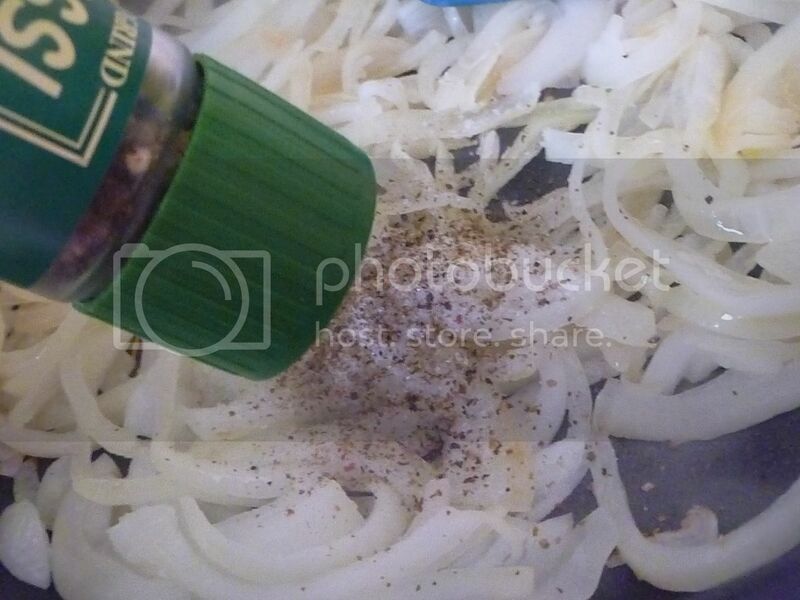 Cook the onions down until the onions begin to soften. 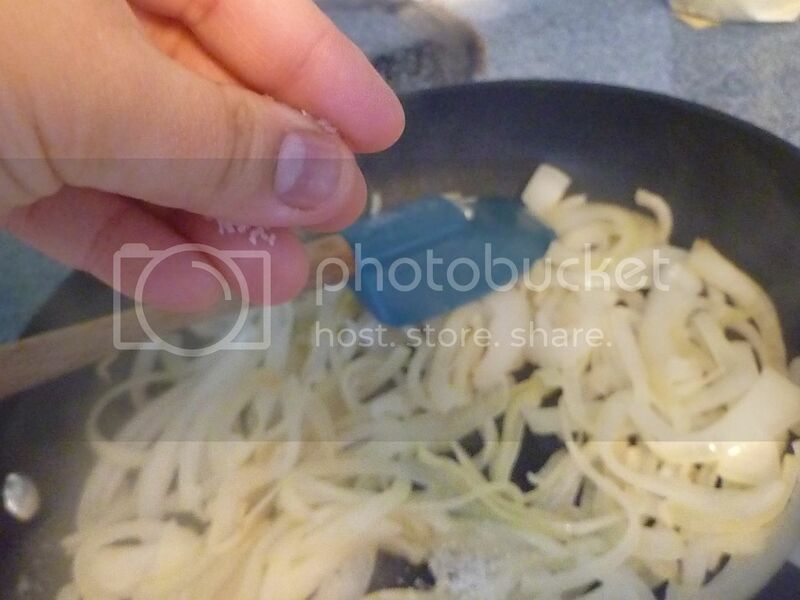 A pinch of salt will help the onions caramelize. Pepper's just an all-around good flavor. And, for some flavor richness. Worcestershire can't be beat. Now for the beer. Any beer will do. Here's what I used. You'll need the whole bottle. Minus what you drank before getting to this step. 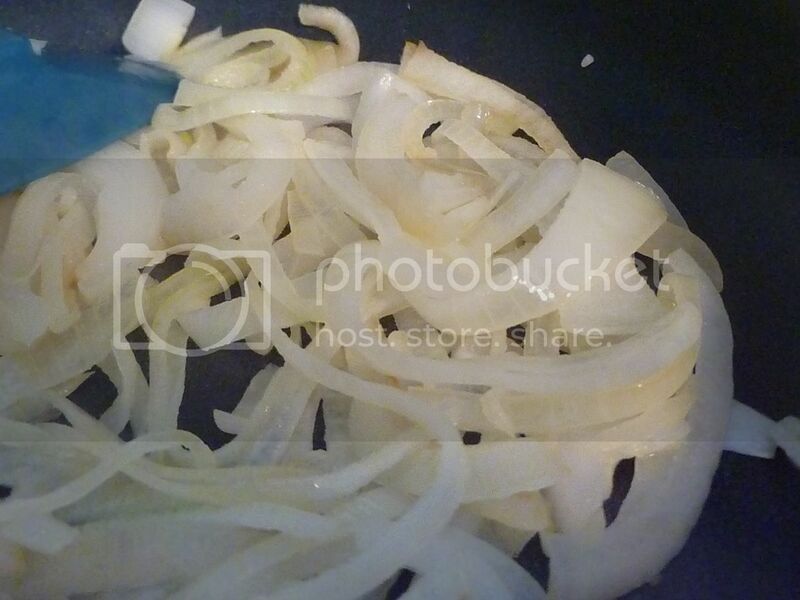 Cook the onions over medium heat until they're caramelized and most of the liquid has evaporated out. Kind of like this. Then turn the heat down and keep them warm. Your kitchen will smell like the best French onion soup ever. Woo-hoo! We're finally to the brat slider part. 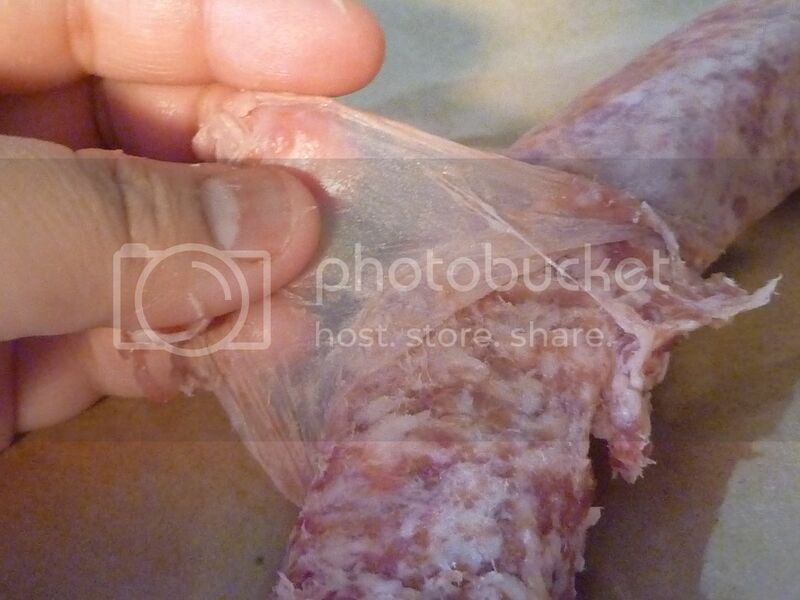 Buy yourself some fresh brats, and then cut the skins all the way down. Peel the skins off. We just need the brat filling. 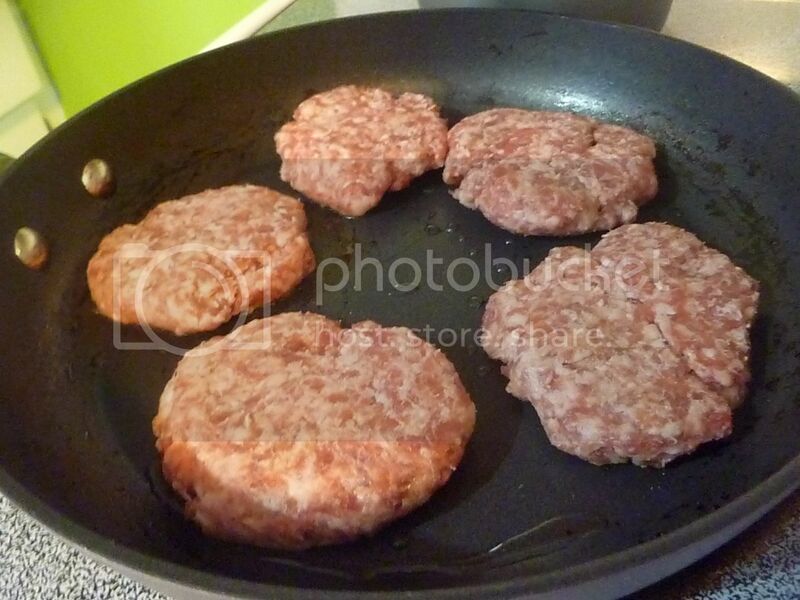 Form the brats into slider-sized patties. I got 5 sliders from 3 brats. 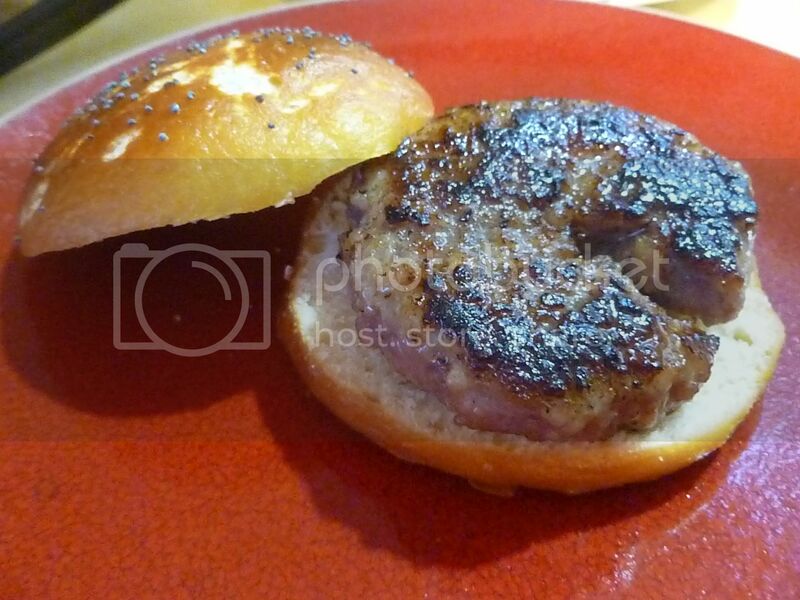 Cook the sliders in a pan or on the grill until they're done to your liking. Now we can get to the assembly! Split a pretzel bun in half. 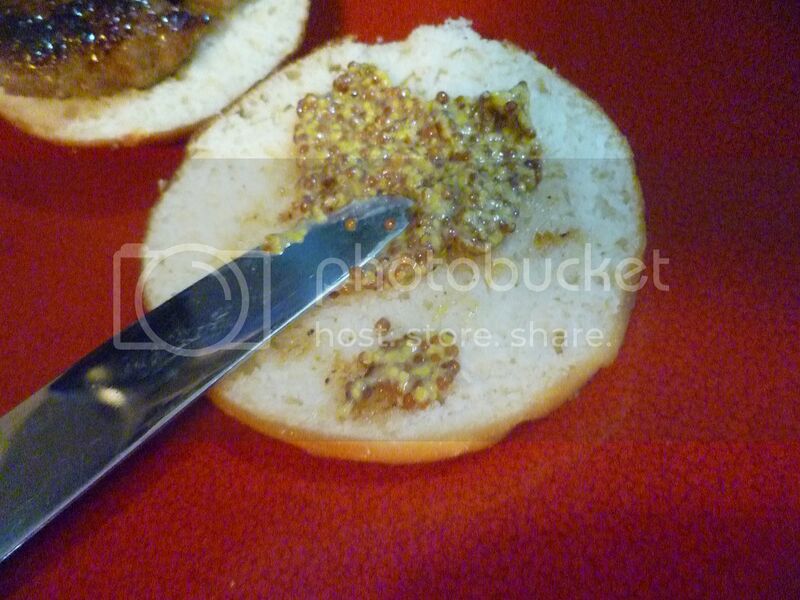 Smear half the bun with the mustard. Stack a brat patty on top. 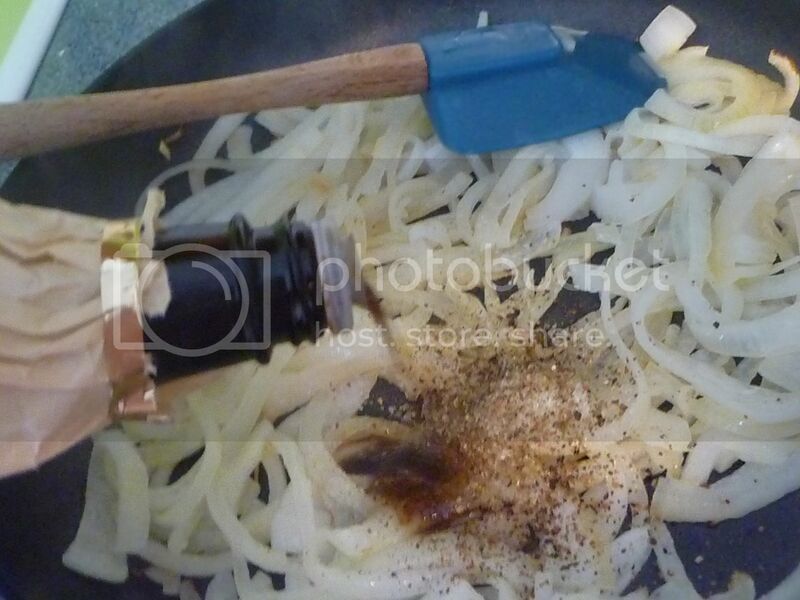 Then pile on those fabulous onions. 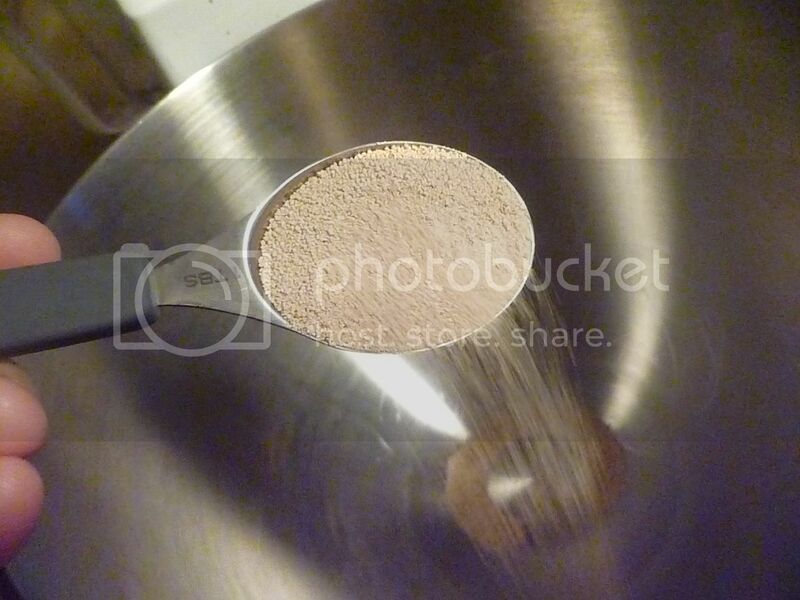 Measure and pour yeast into large mixing bowl. 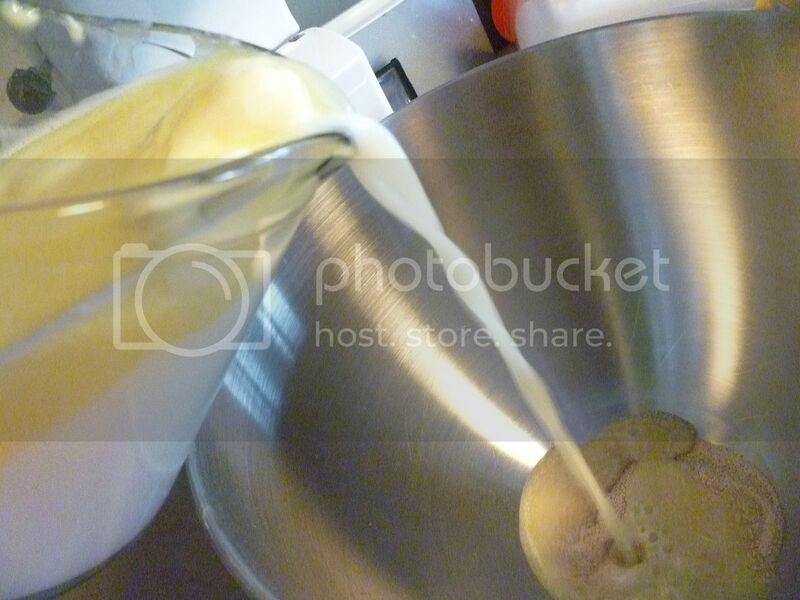 Heat water, milk, and butter together until butter is melted (or just about), and liquid is just slightly warmer than your body. 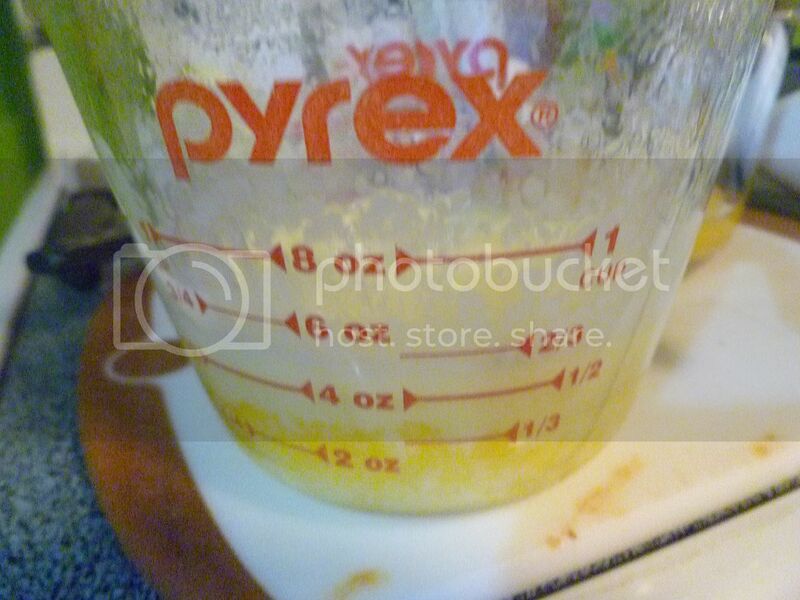 Add to yeast, and mix. Add brown sugar and salt; mix until combined. 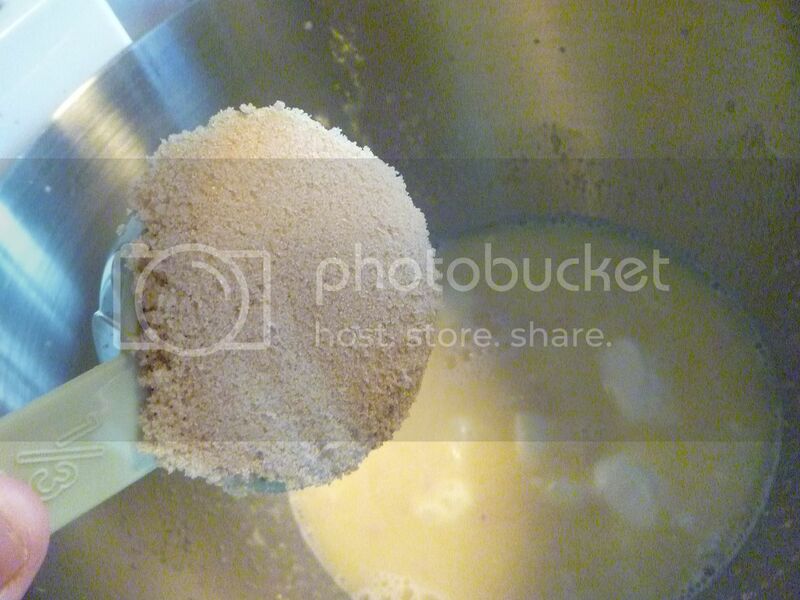 Add 1 c. of flour. Mix on high for a minute. 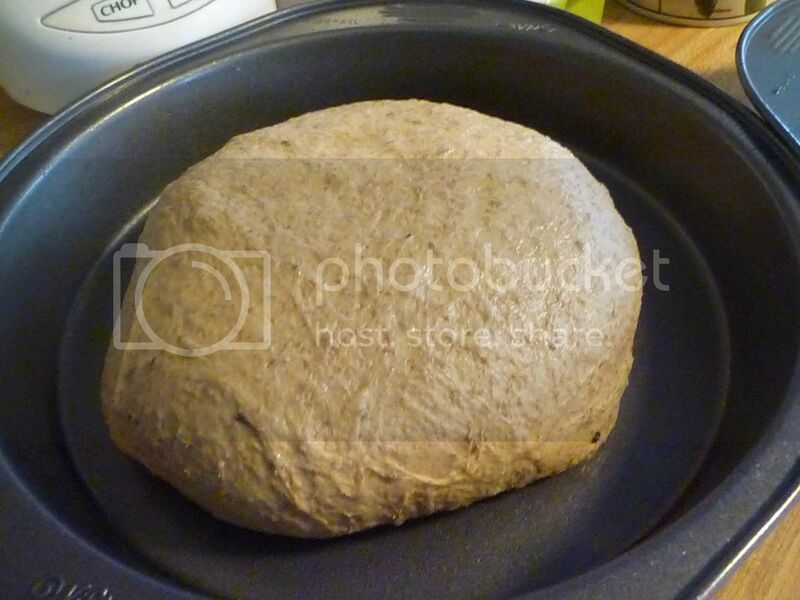 Add remaining flour until a soft, stretchy dough is formed. 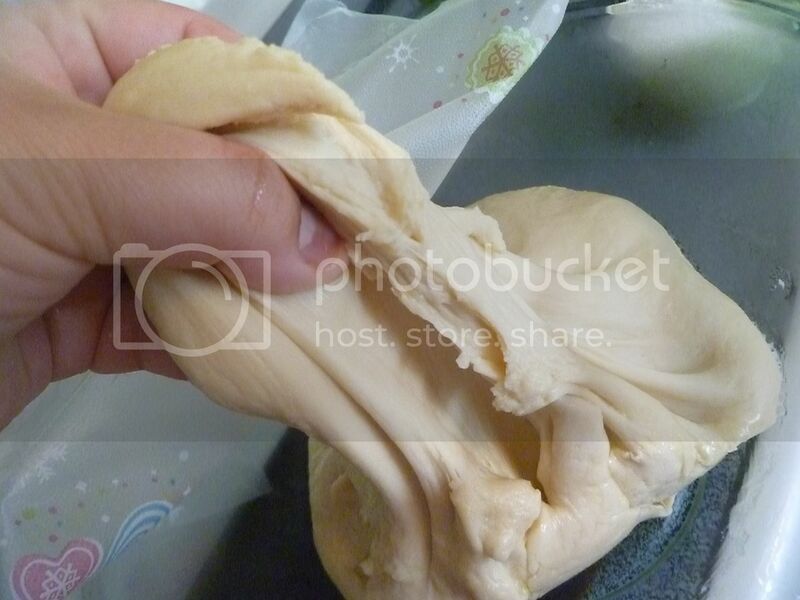 Turn dough into a lightly-greased bowl and cover. Let rise 30-45 minutes. 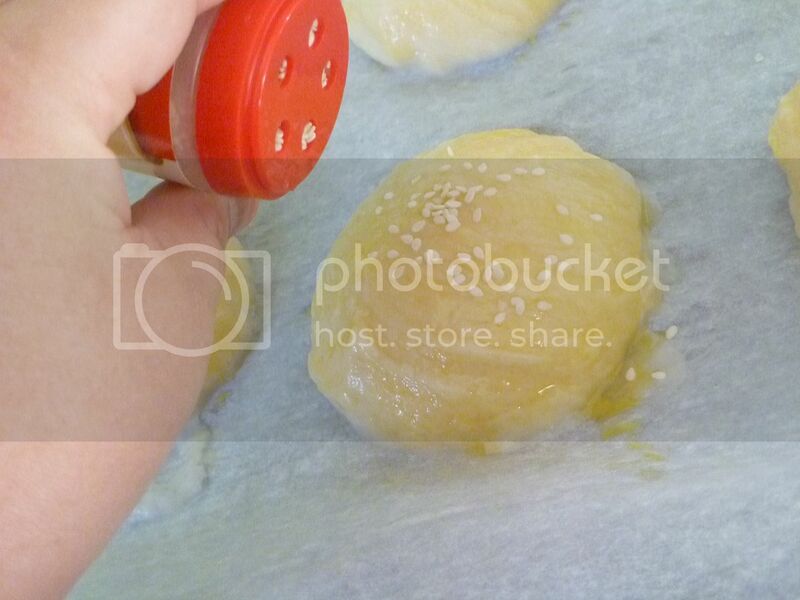 Shape dough into slider-sized buns. Set buns on a cookie sheet lined with parchment paper. Cover with a clean towel and let rise another 30 minutes. 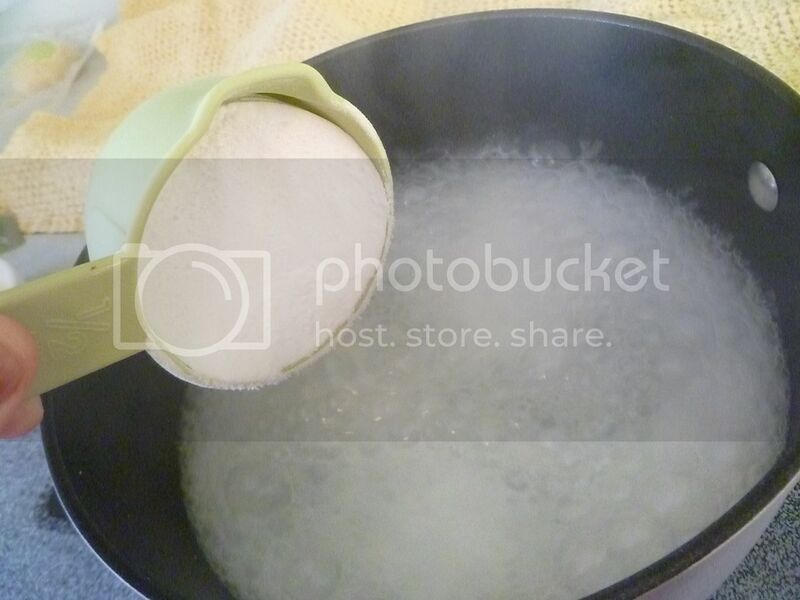 While the buns are rising, measure 6 cups of water and 1/2 c. of baking soda into a large pot, and bring to a boil. 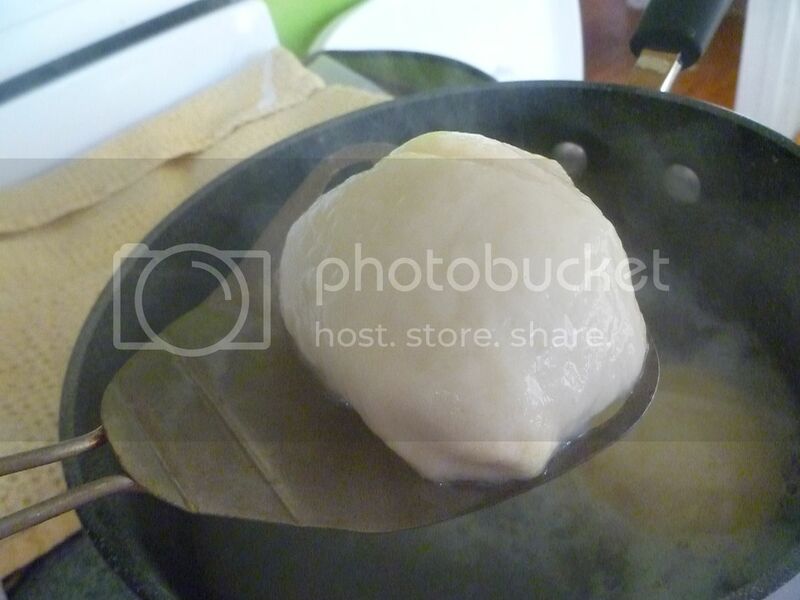 Gently and carefully move buns into the boiling water a few at a time, top-side-down. Let boil for 20 seconds; flip. Boil for another 20 seconds. Remove buns, drain slightly, and return to the cookie sheet. . Continue until all buns have been through the boiling water. Brush buns with beaten egg. 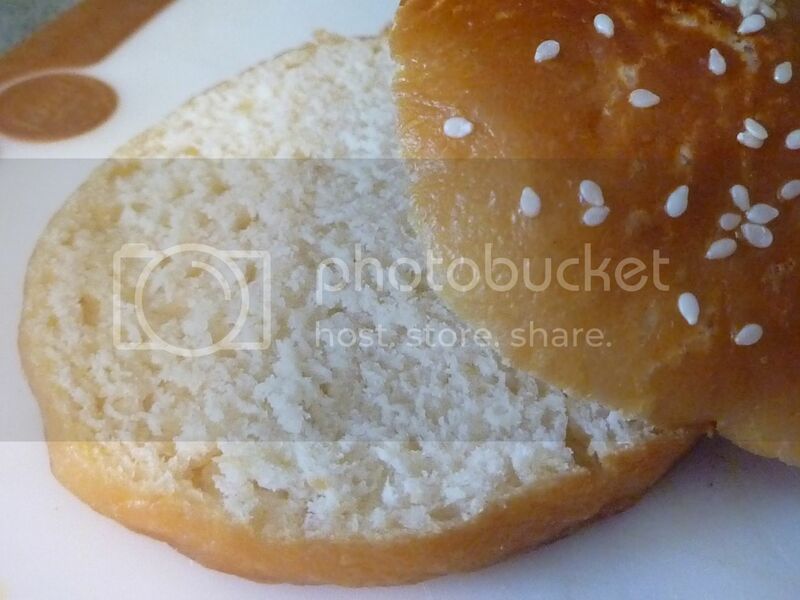 Slash tops of buns, to allow steam to escape. 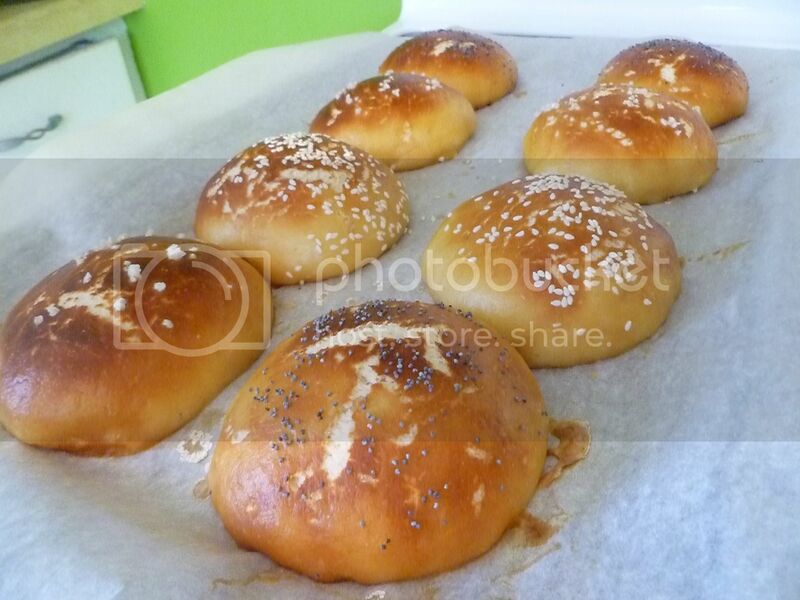 Bake buns in a preheated 375F oven for 20-25 minutes or until golden brown. 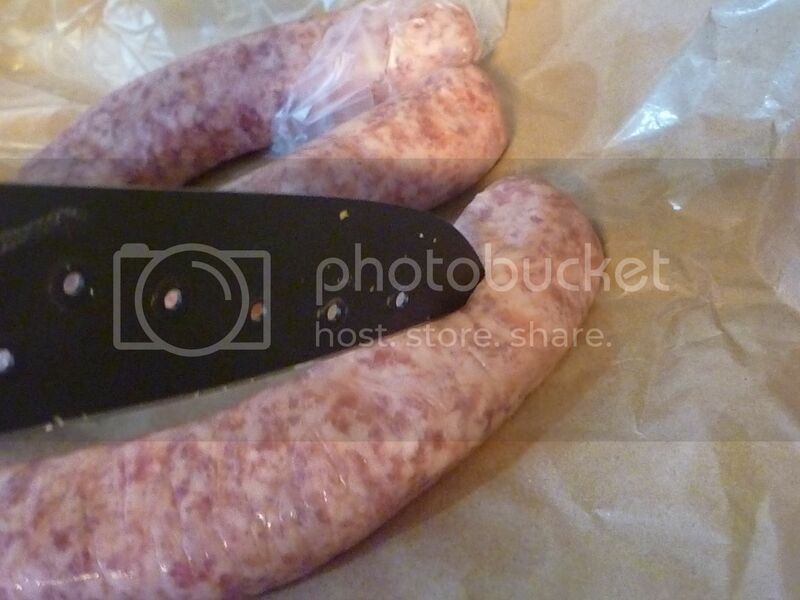 Split the brat skins and remove filling. Discard skins. 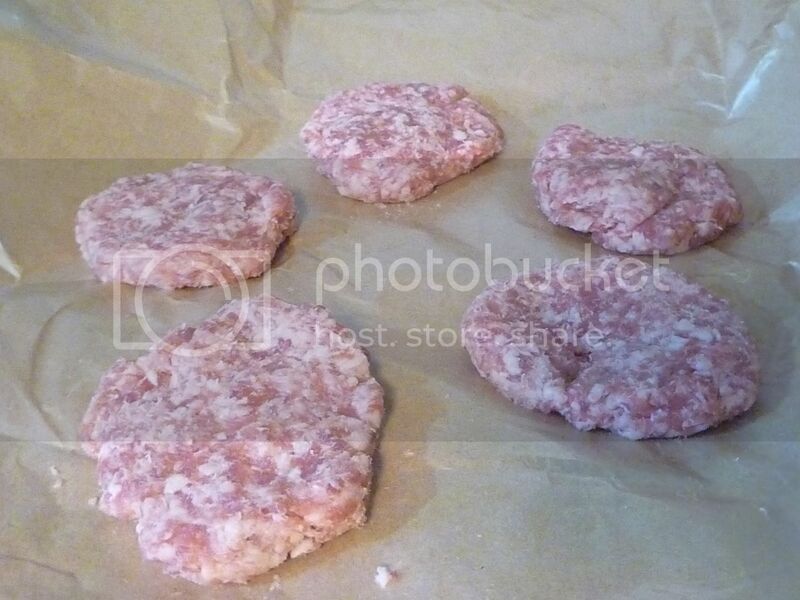 Form brats into slider-sized patties. Sprinkle with salt and pepper. 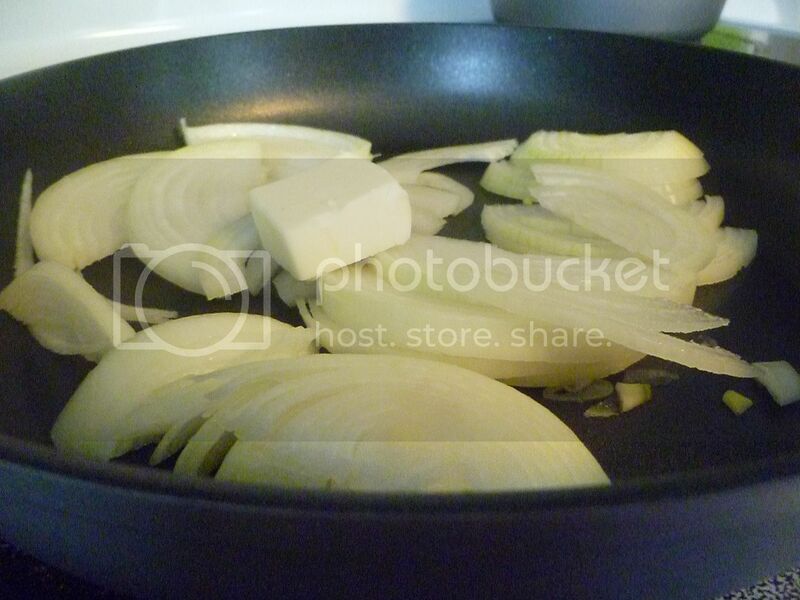 Cook in a pan (or on a grill) until cooked through. 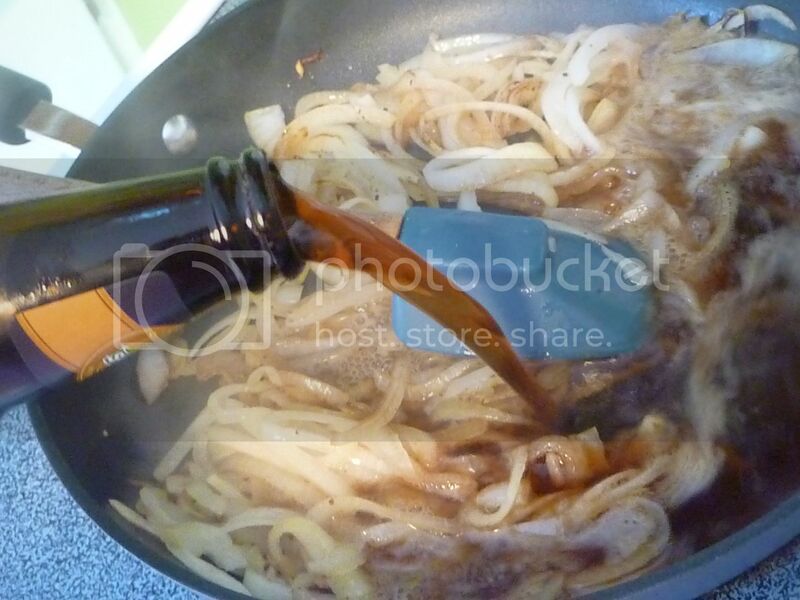 Saute onion in butter; once onion is softened, add 3/4 of the beer, and all the sugar, salt, Worcestershire, and pepper. 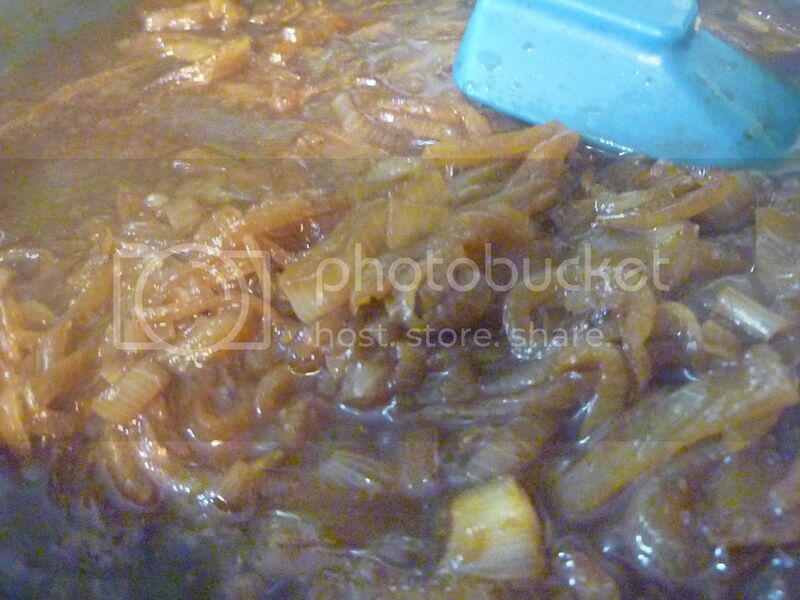 Cook over medium heat until beer has been absorbed and the onions are caramelized. 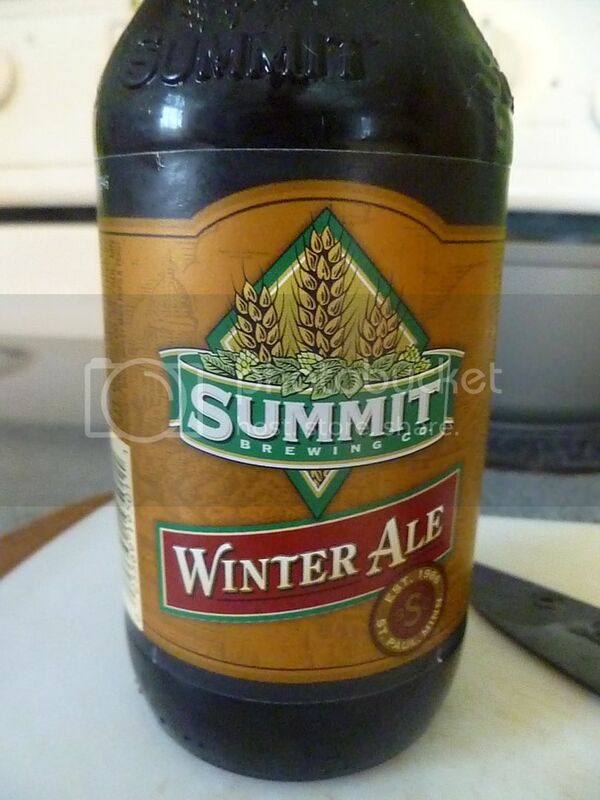 Add remaining beer and simmer until ready to use. 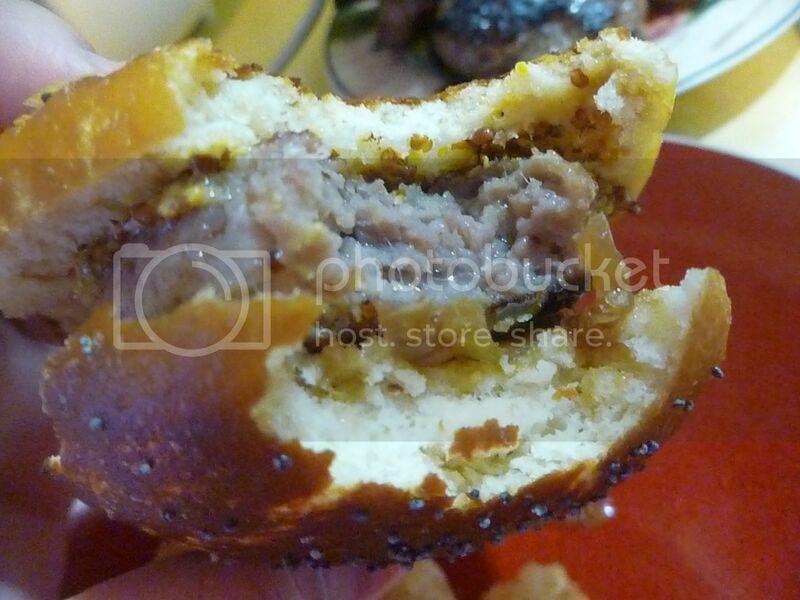 Place a brat burger on a pretzel bun. Top with braised onions and mustard. Serve!